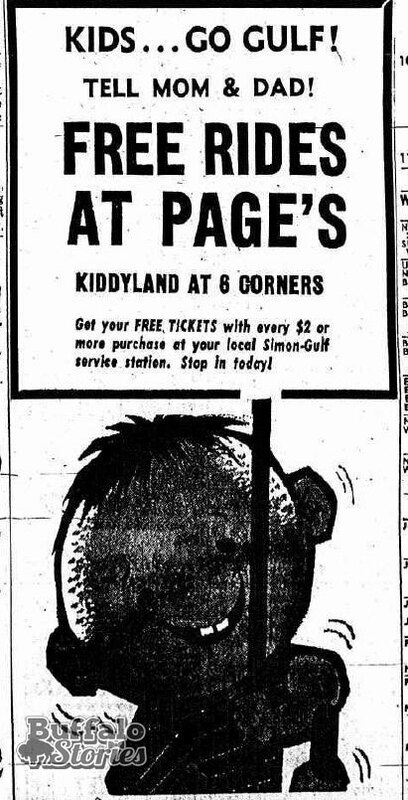 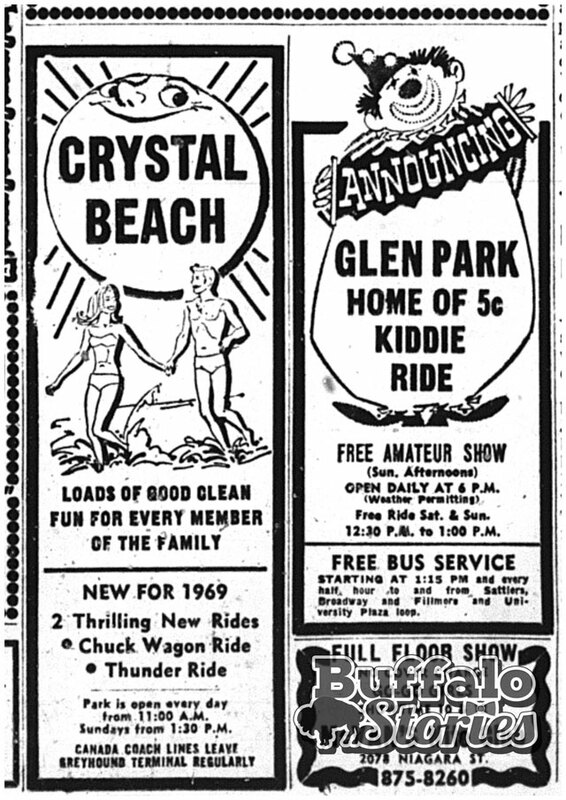 If you’re over 40 and grew up in Buffalo, chances are pretty good you didn’t need an ad in the newspaper to entice you to beg for a trip to Crystal Beach. 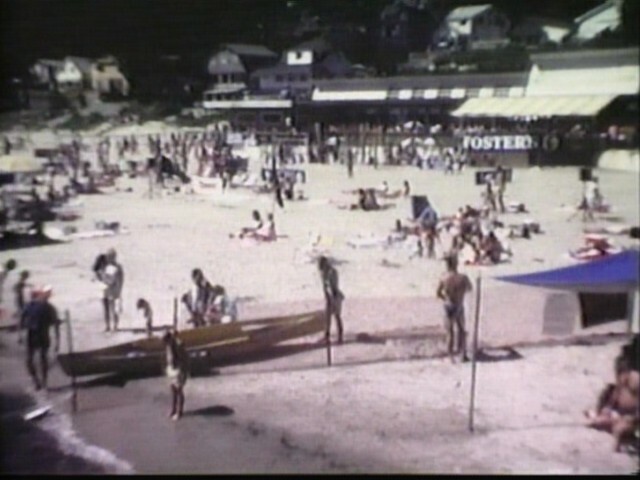 Yet from Memorial Day to Labor Day, from the 1940s to the 1980s, those ads were there, almost every day. 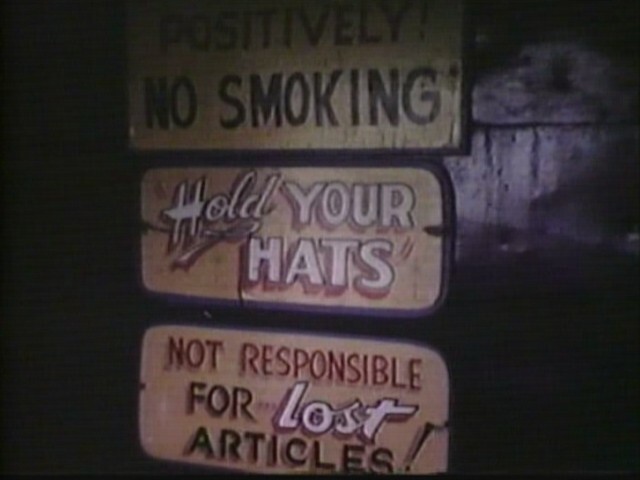 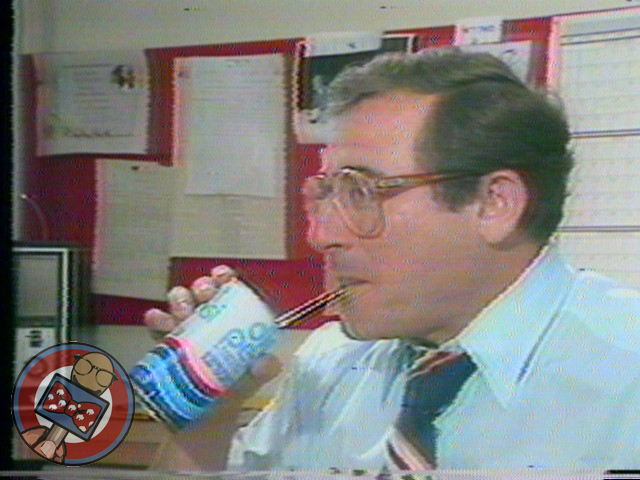 Here’s a look back at a few of those ads. 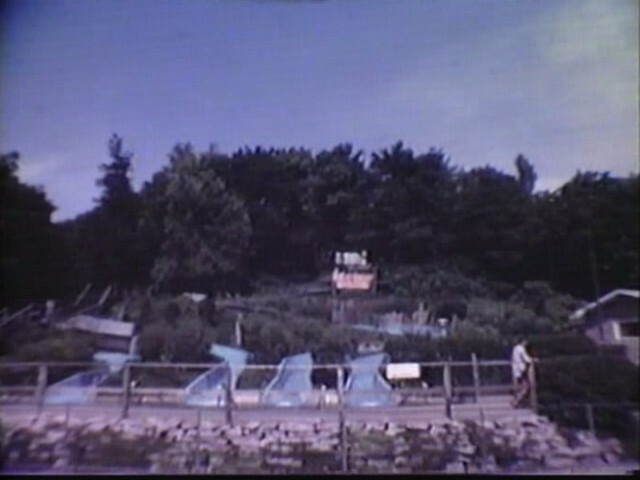 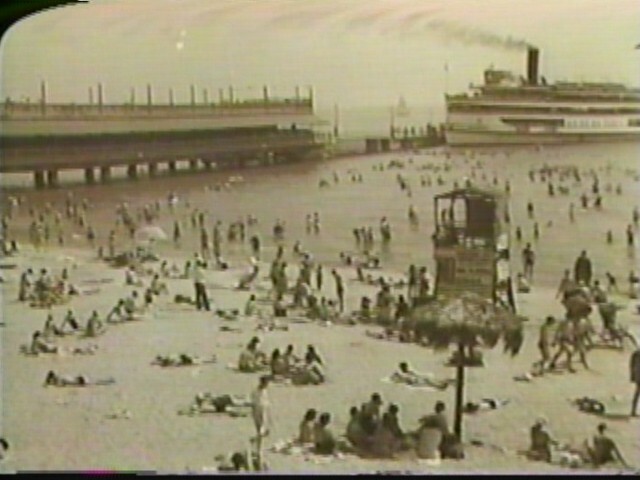 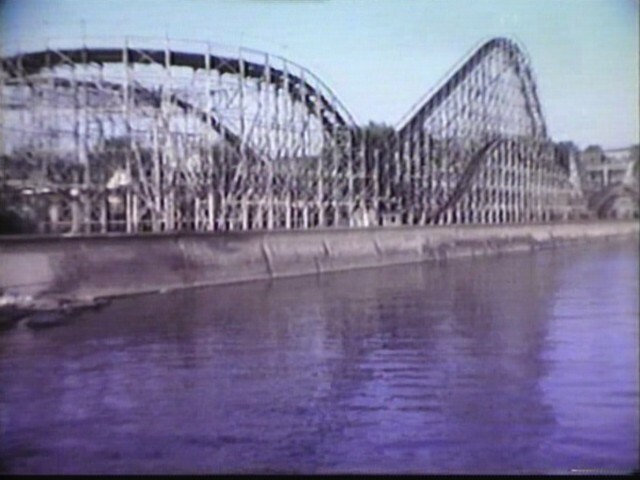 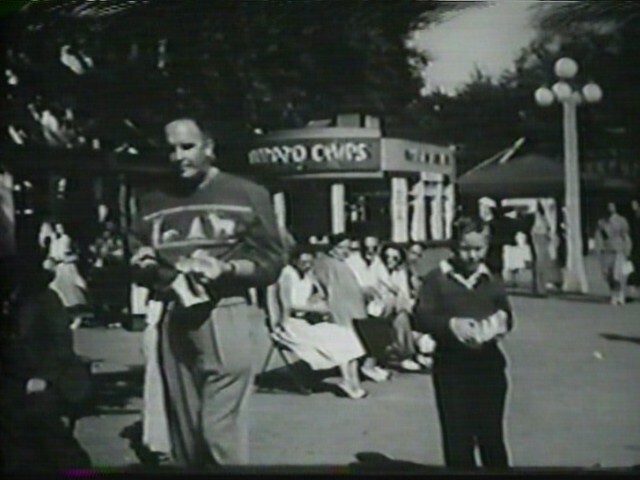 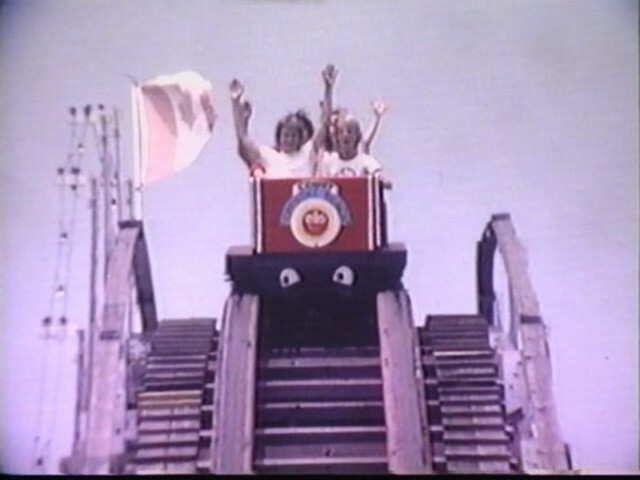 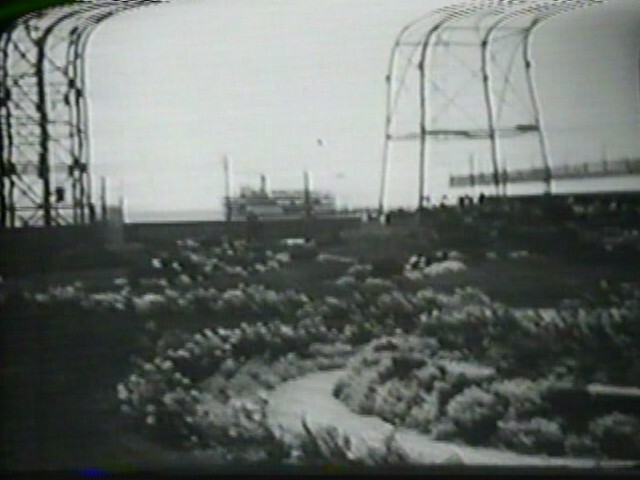 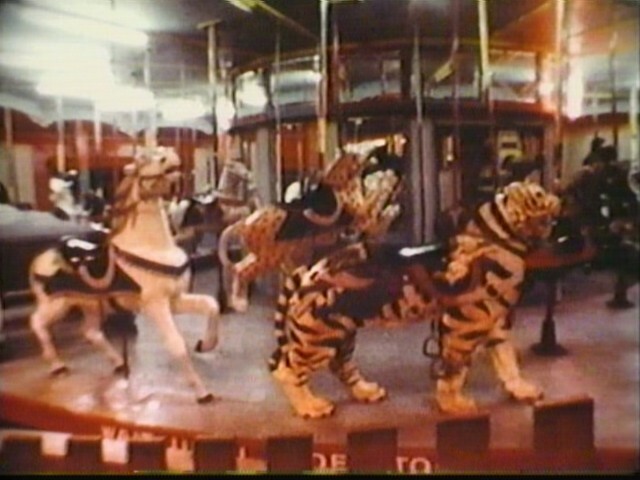 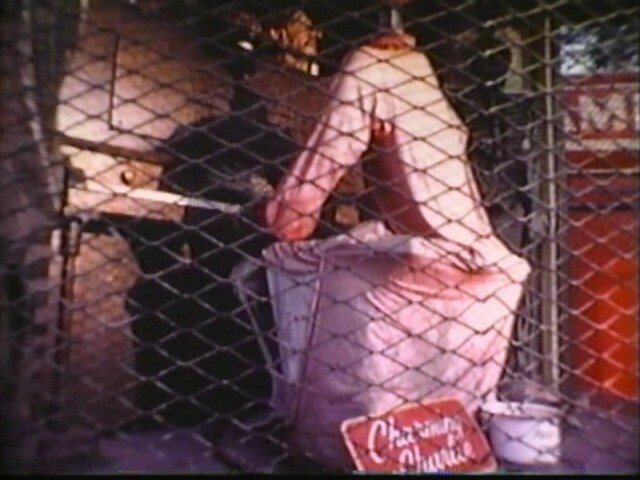 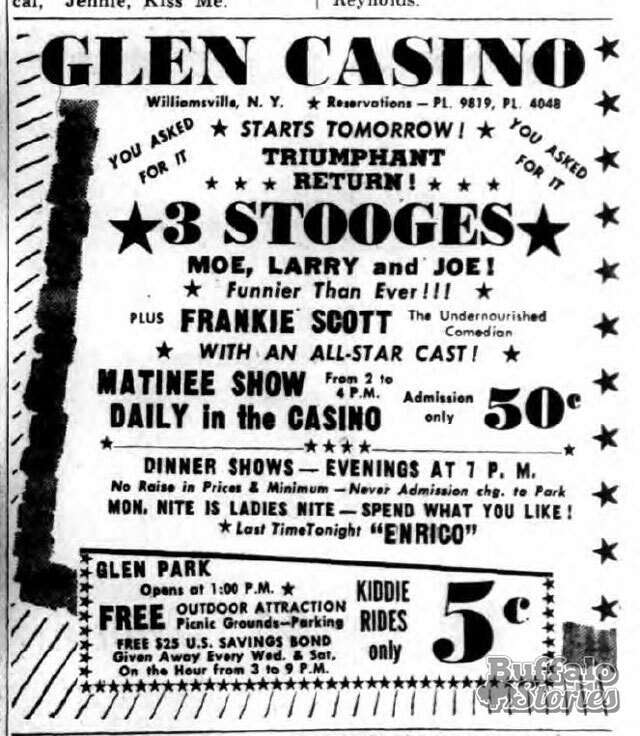 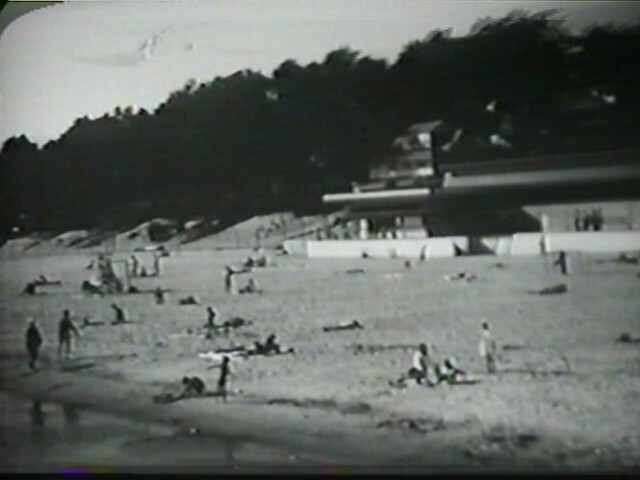 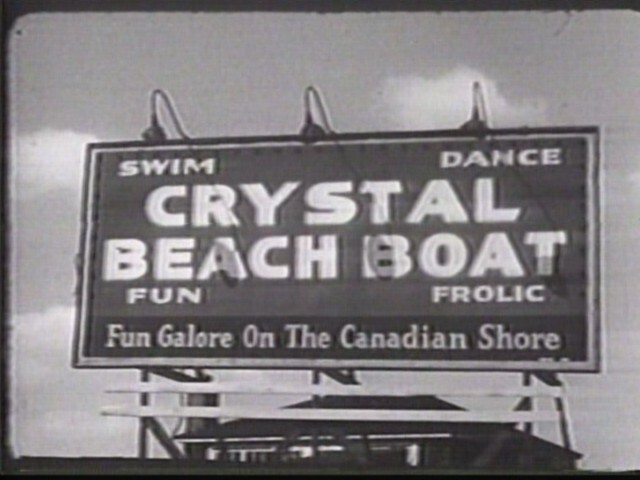 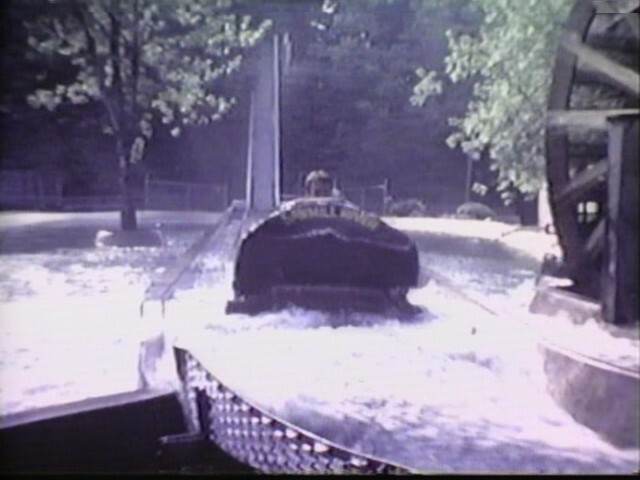 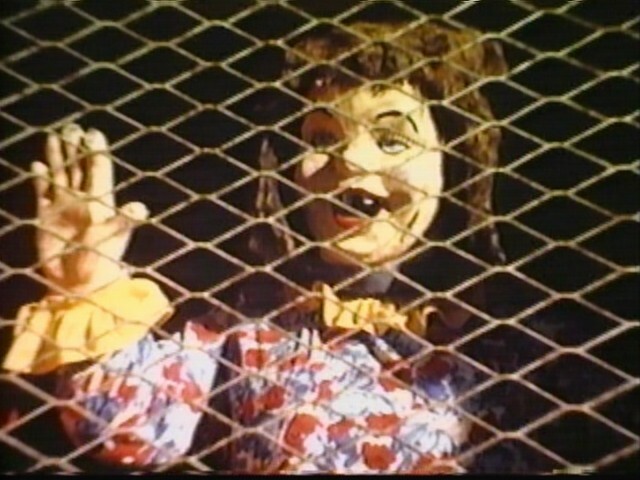 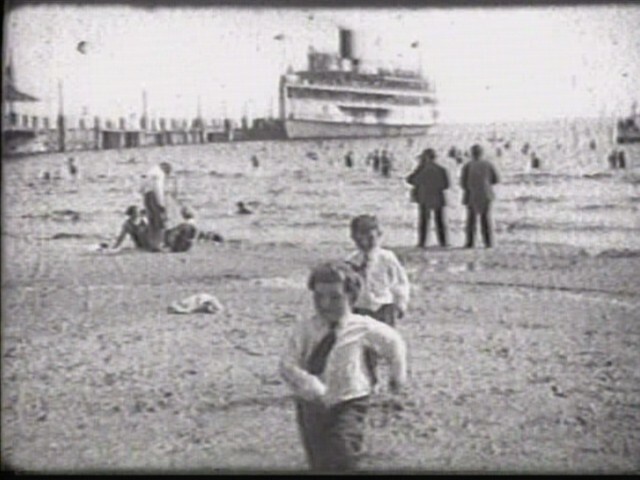 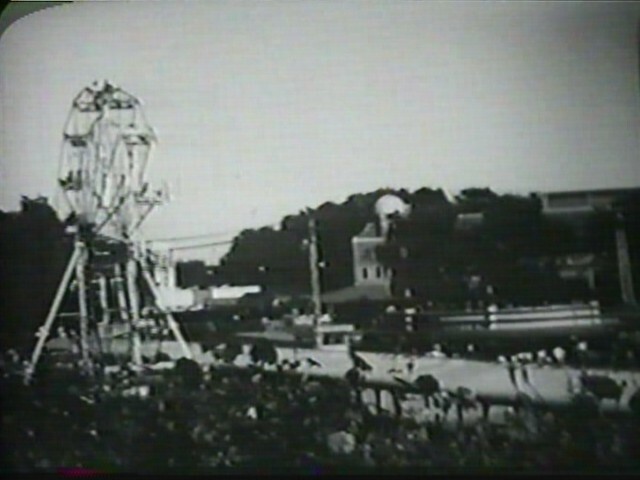 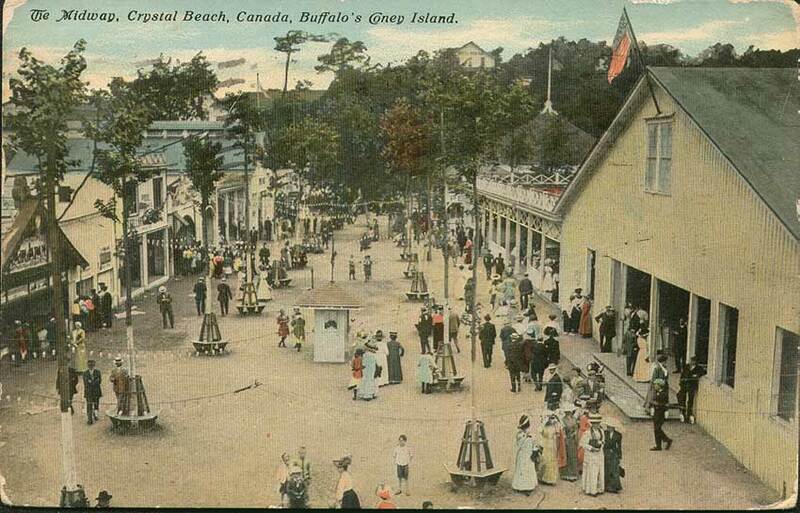 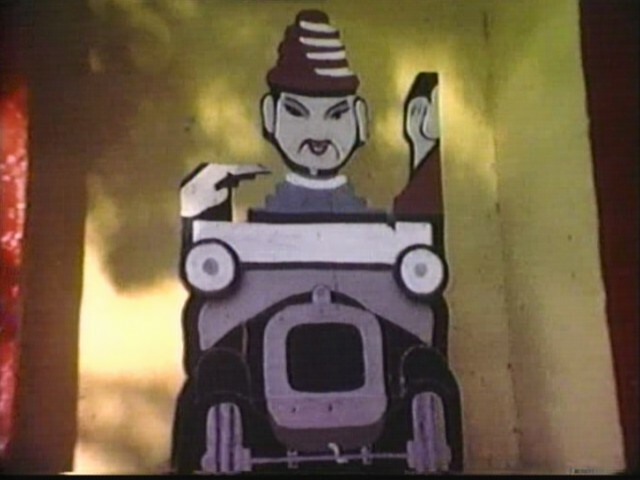 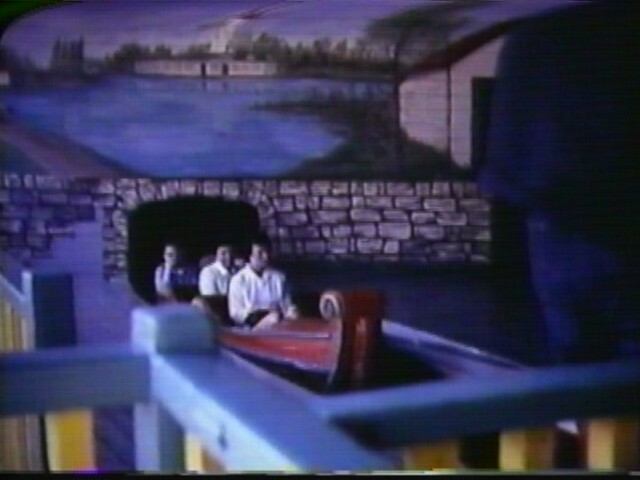 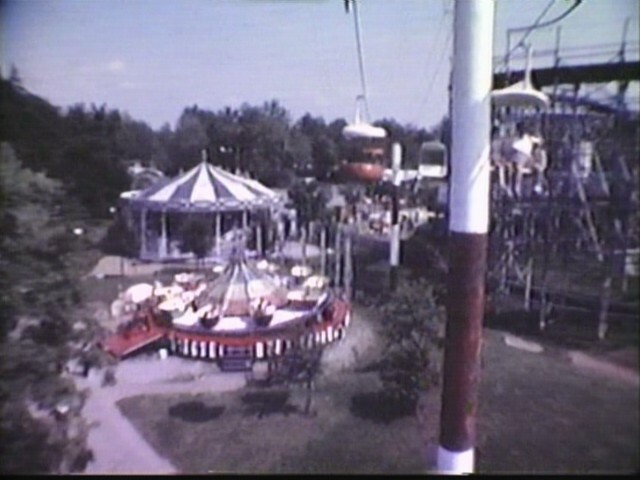 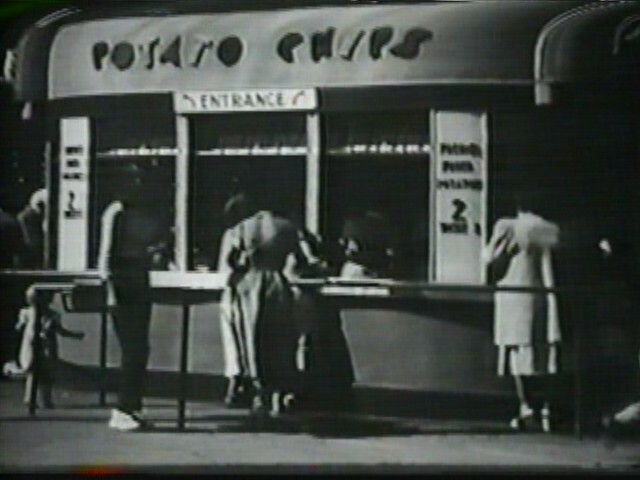 The “100 thrilling midway amusements” were among the most highly touted aspects of a visit to Crystal Beach during the years of World War II, but even more than the rides– in bold letters, bathing and dancing were the kind of fun that must have spoke to the throngs of WNYers who’d make the regular trip to Canada. 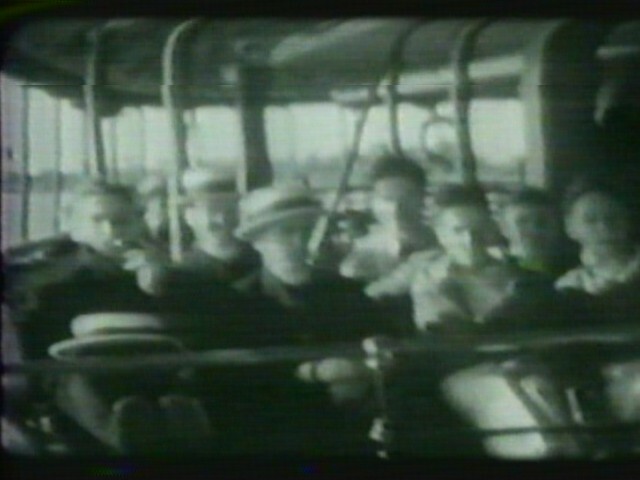 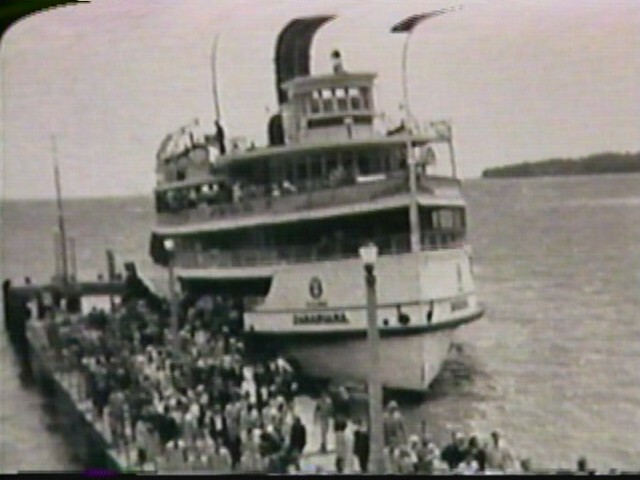 Today, we make that trip across the Peace Bridge– and some did it that way in 1944, too. 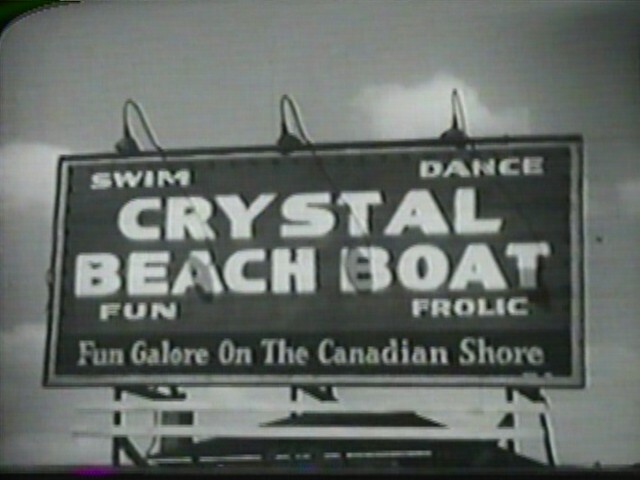 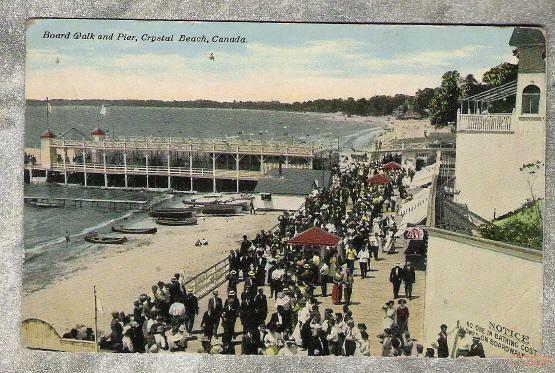 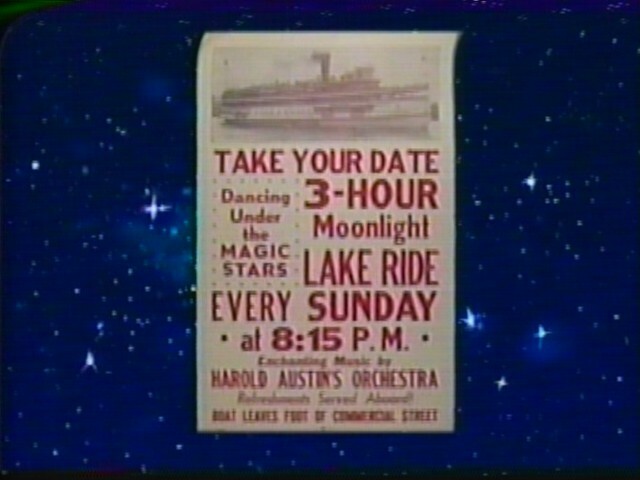 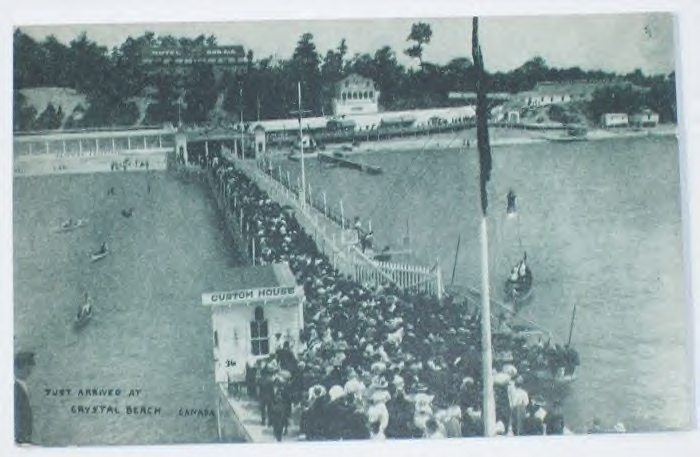 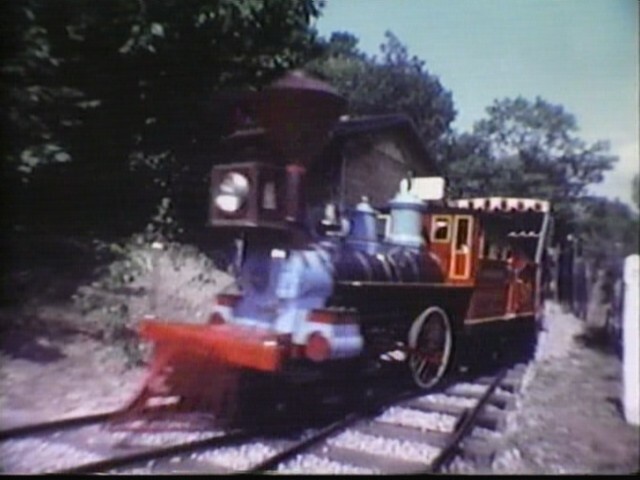 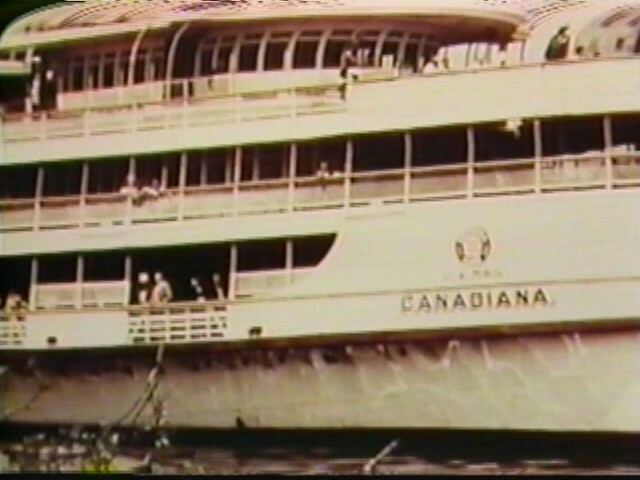 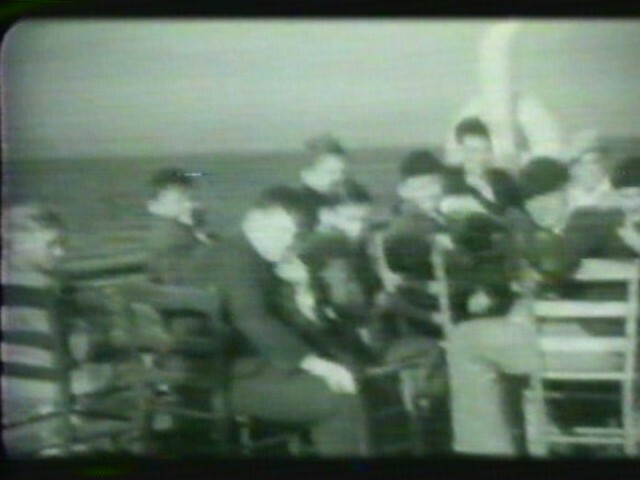 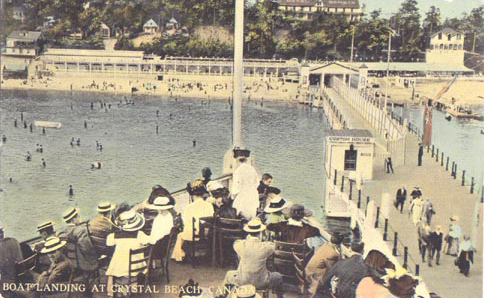 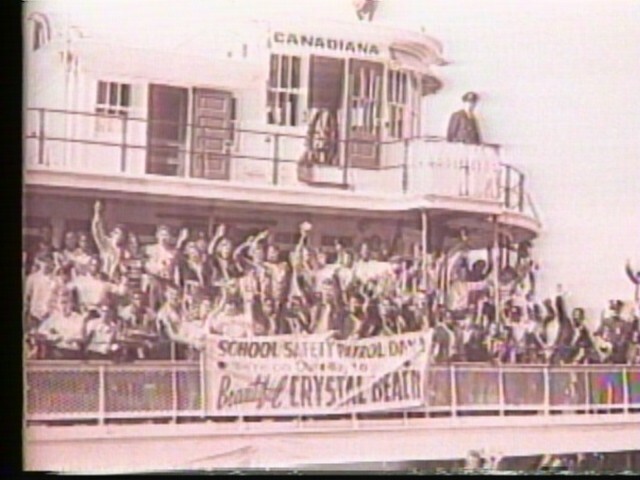 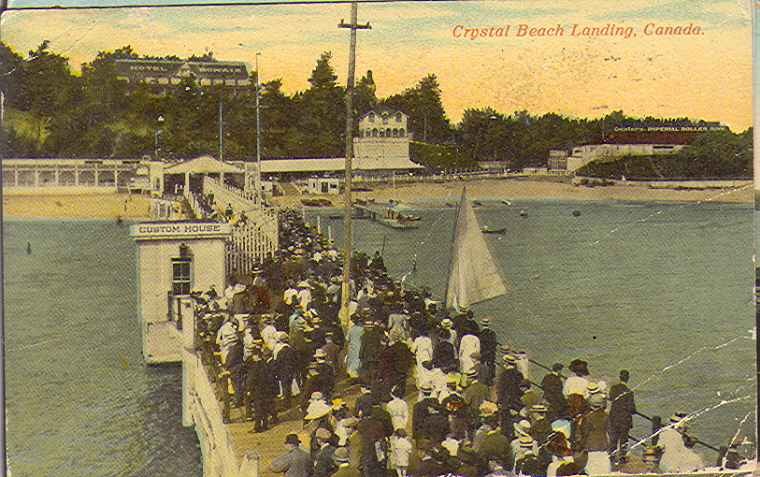 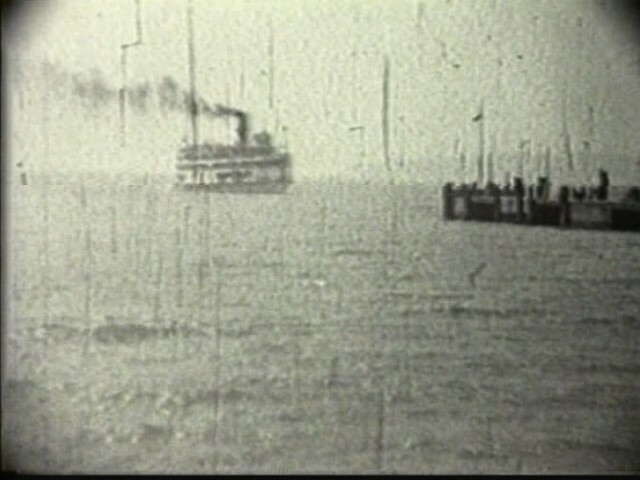 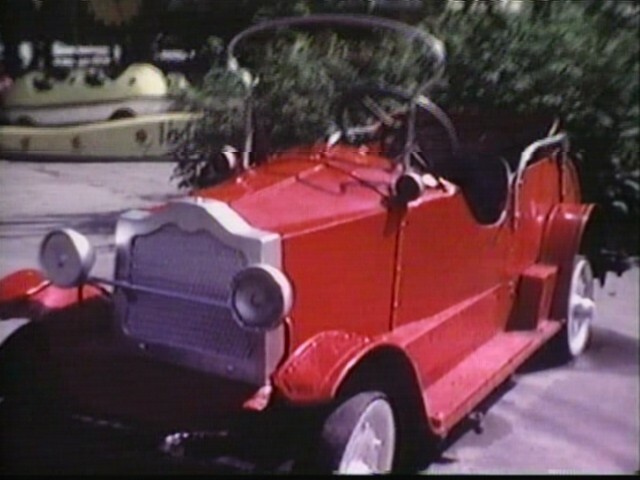 But the “extra special, grand” way to get to Crystal Beach was a 50¢ ride across the Lake aboard the Steamer Canadiana. 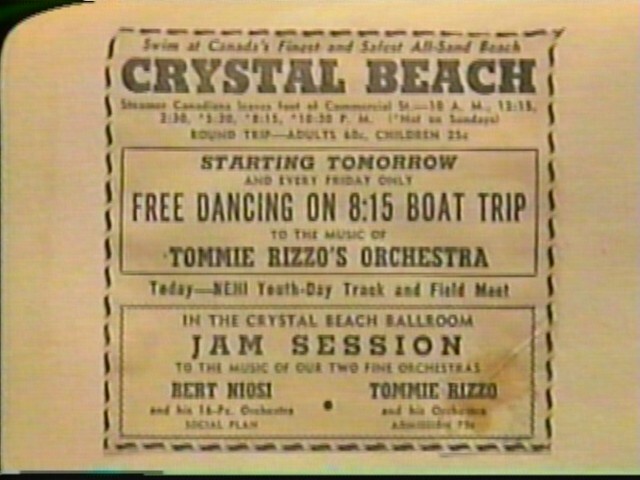 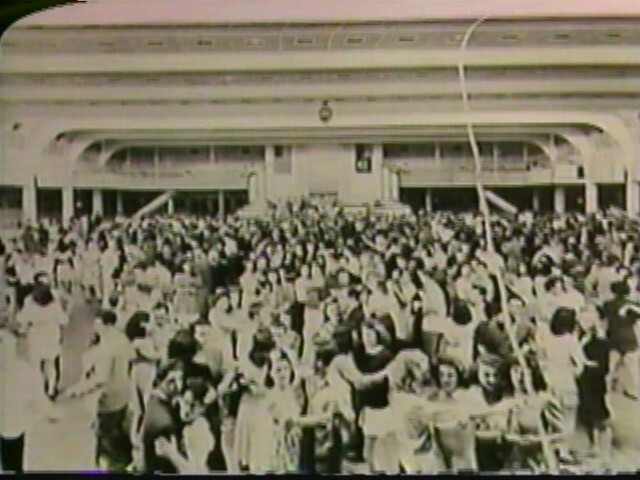 When it came to dancing to live music on the rollicking waves of Lake Erie, getting there (and back home) really was half the fun of going to Crystal Beach when you took the Canadiana. 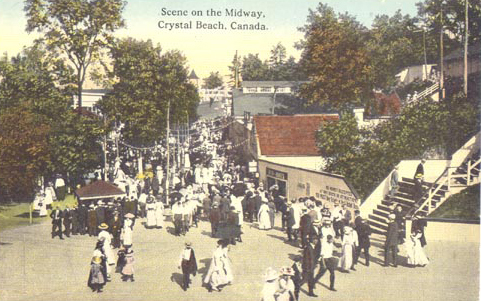 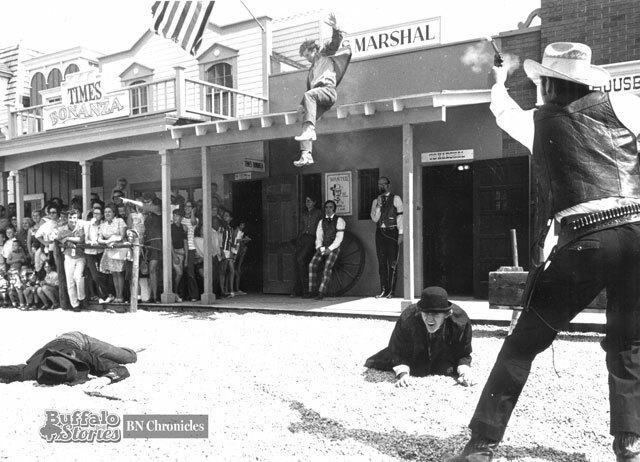 The excitement of 5-cent rides at Crystal Beach was almost too much to bear. 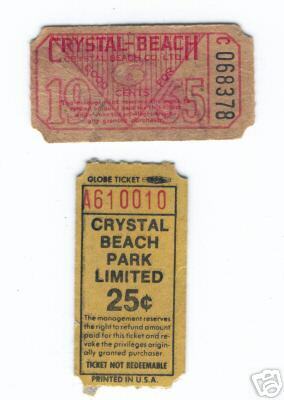 You paid per ride at Crystal Beach back then, and hearing that 24 rides cost only a nickel sounded like just about the most fabulous way anyone could think of to spend the last few days of summer. 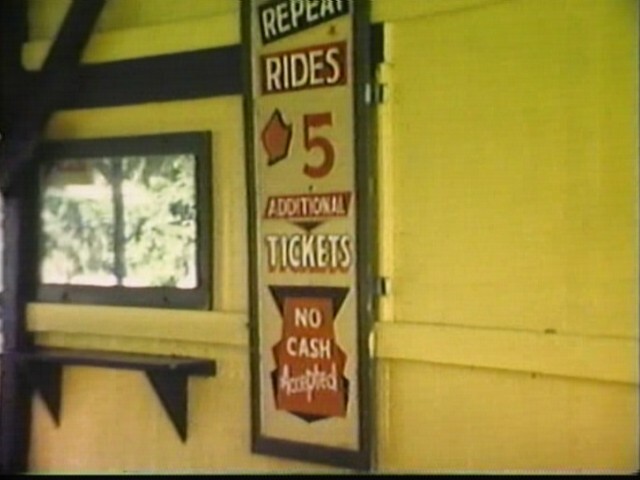 That is, of course, until you read the small print — and realized your roll of nickels might not take you as far as you thought. 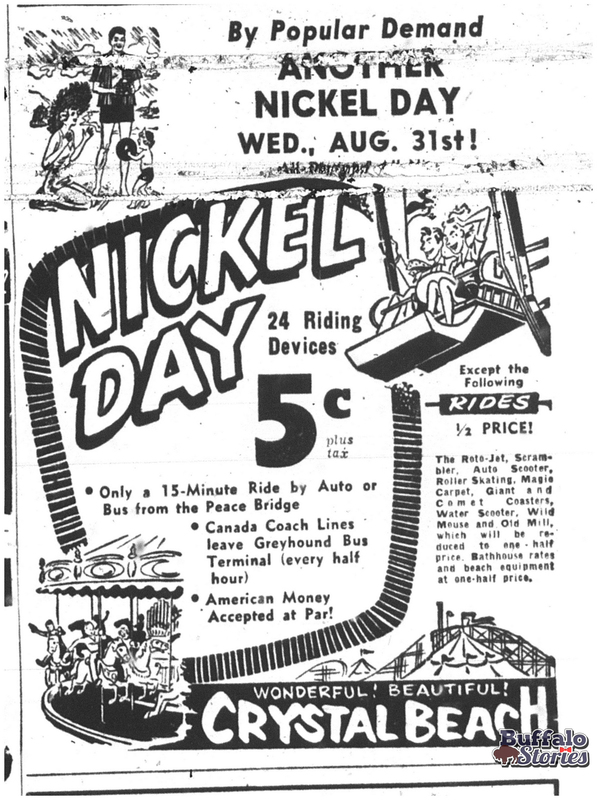 Nickel Day applied to 24 of the parks “riding devices.” The best rides were still cheaper than usual — but only half-price. 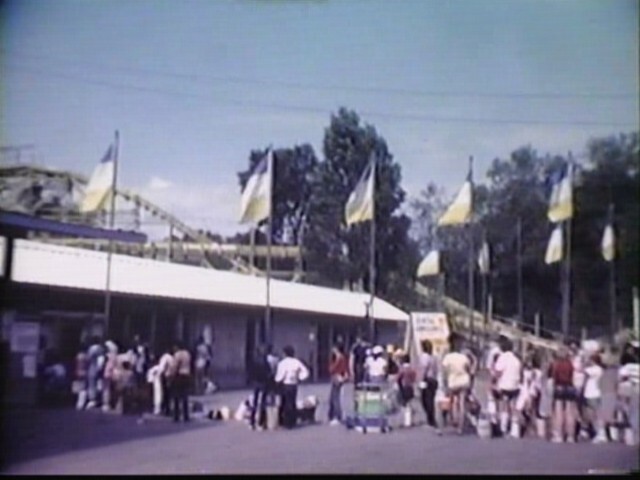 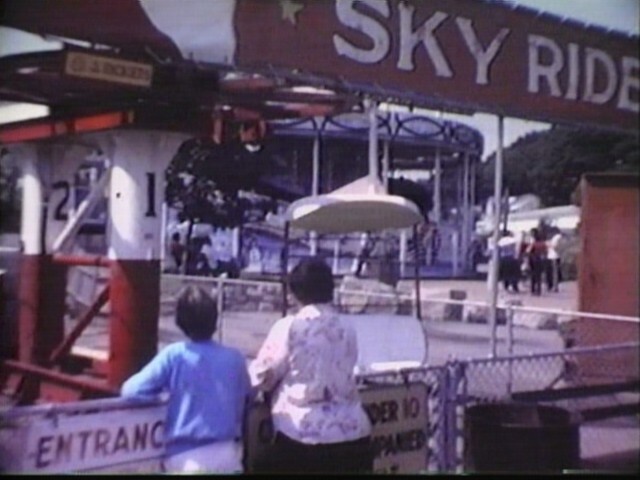 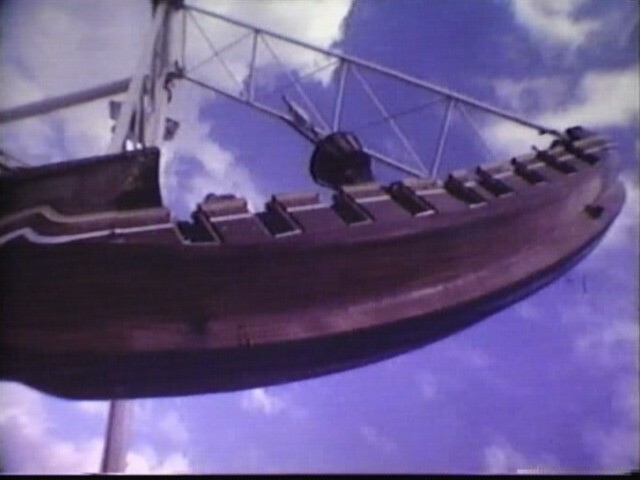 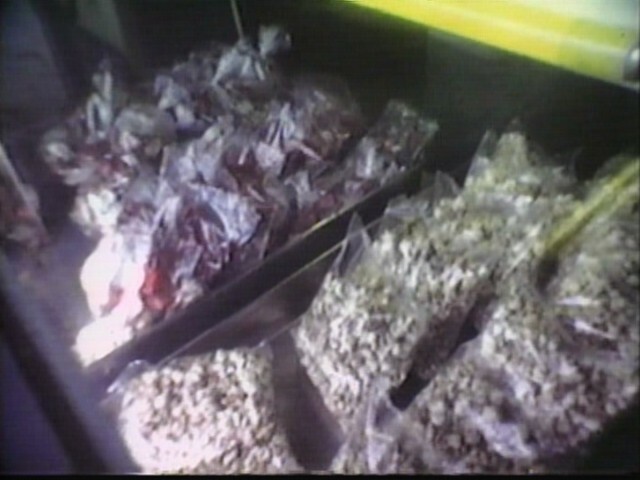 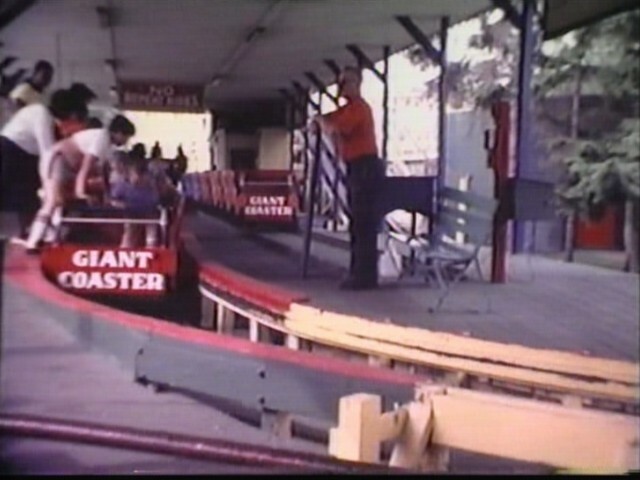 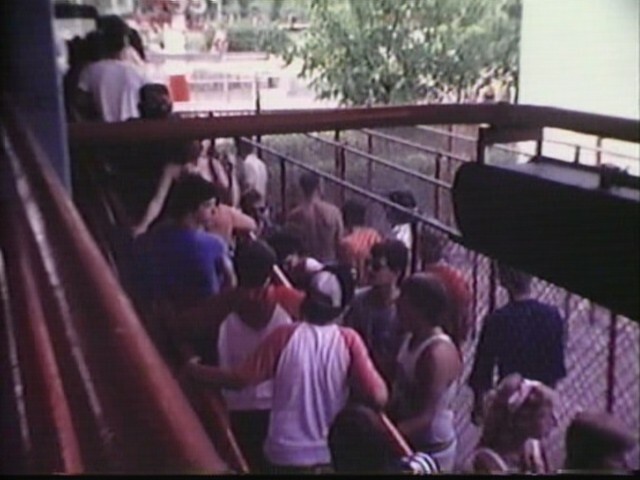 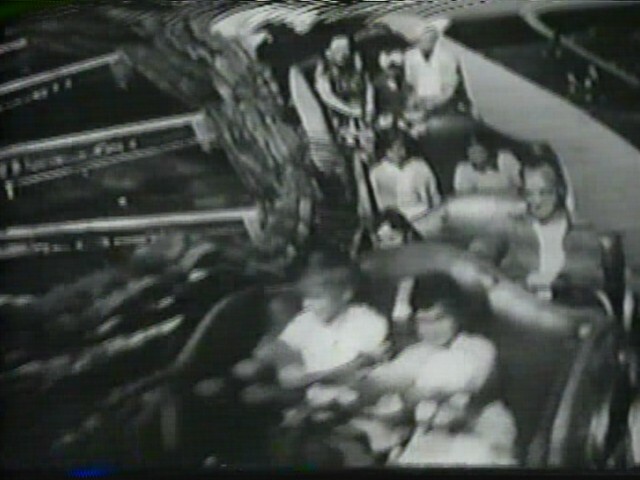 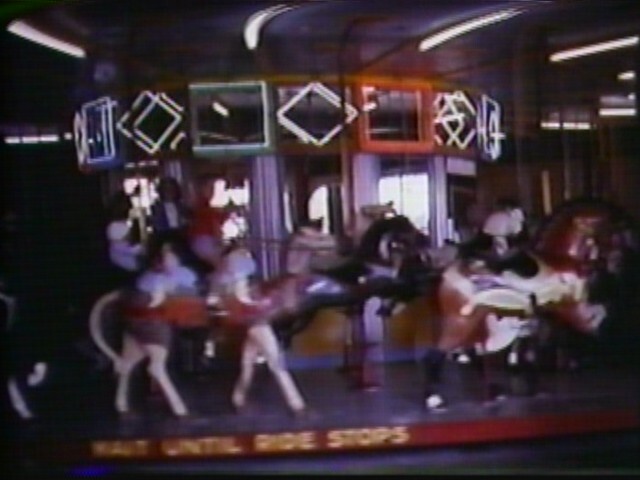 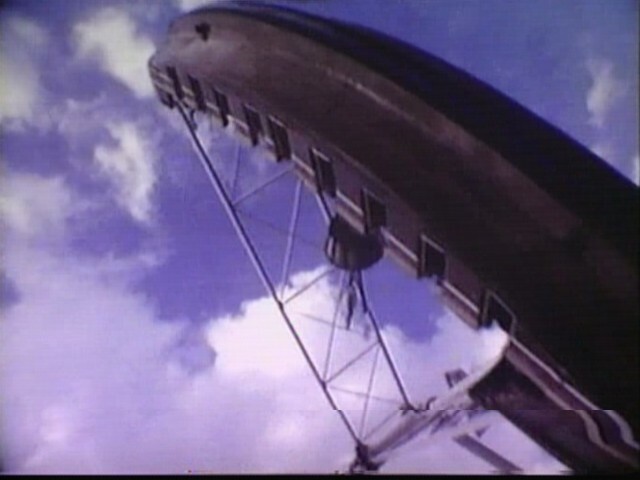 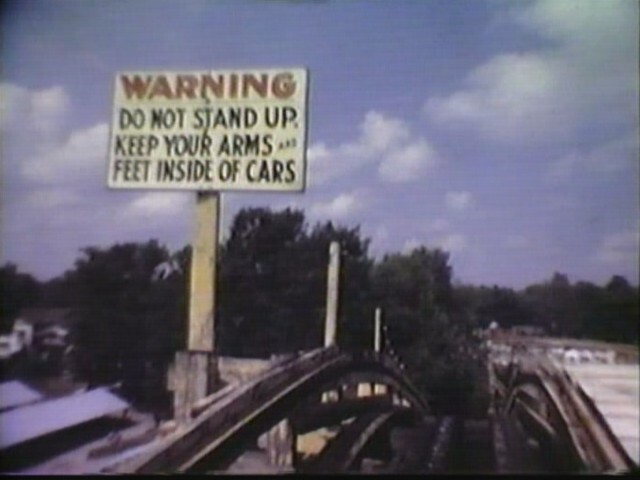 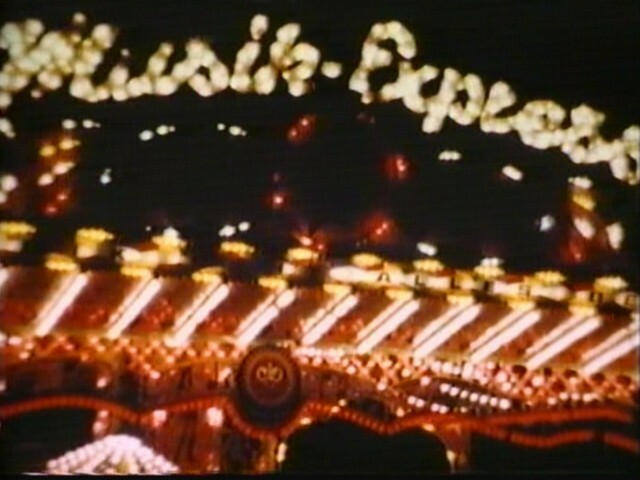 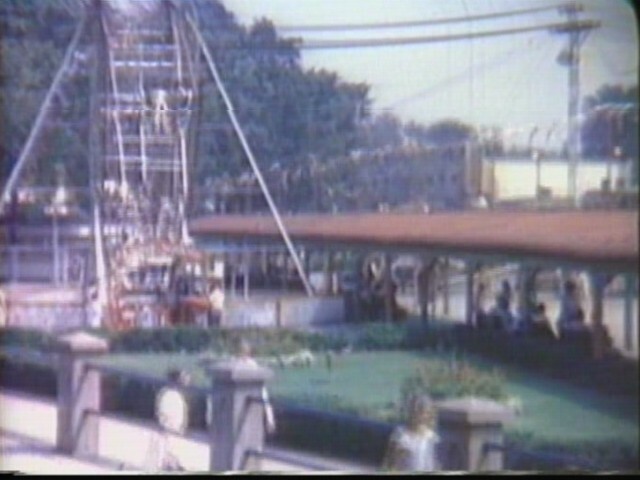 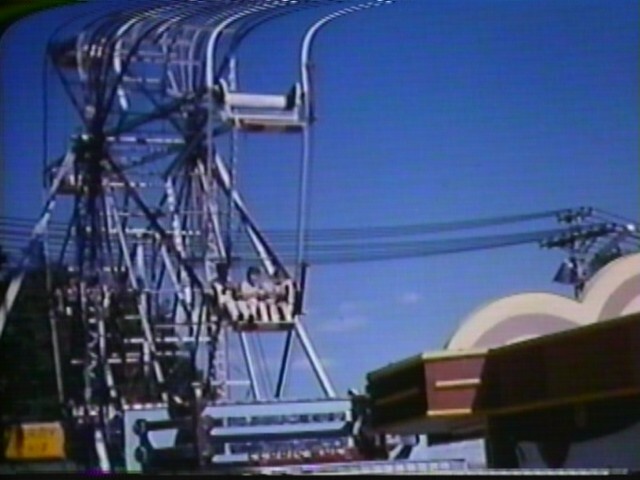 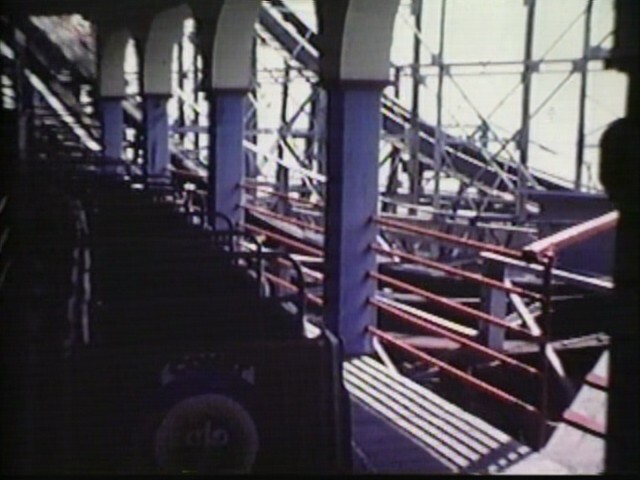 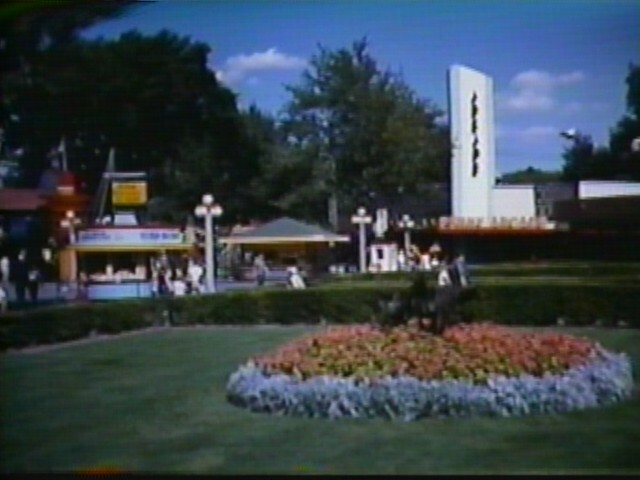 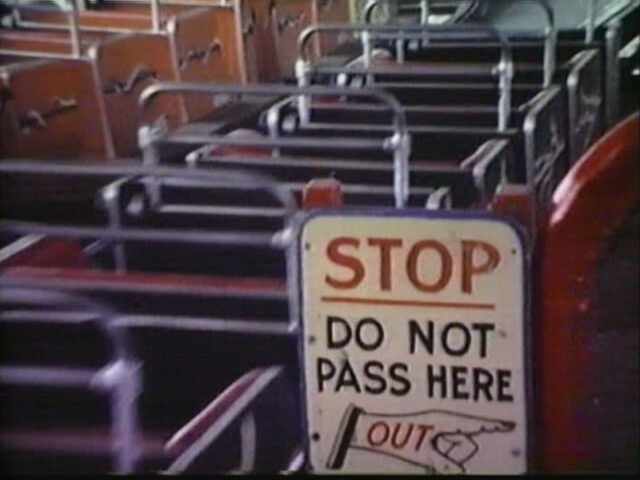 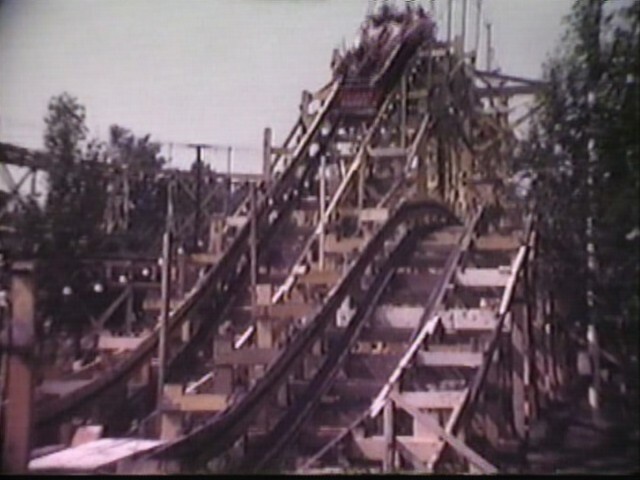 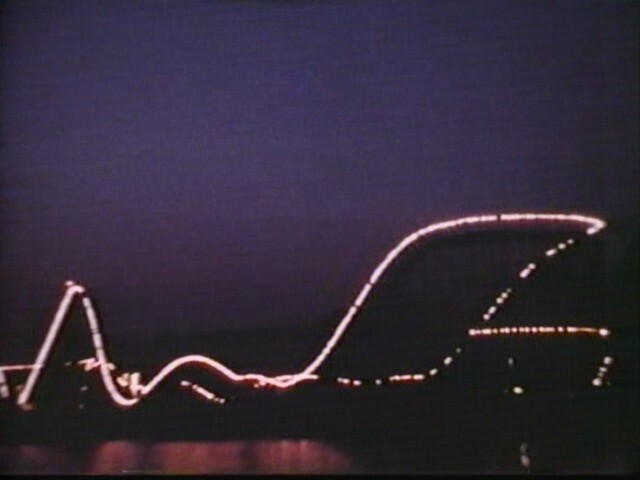 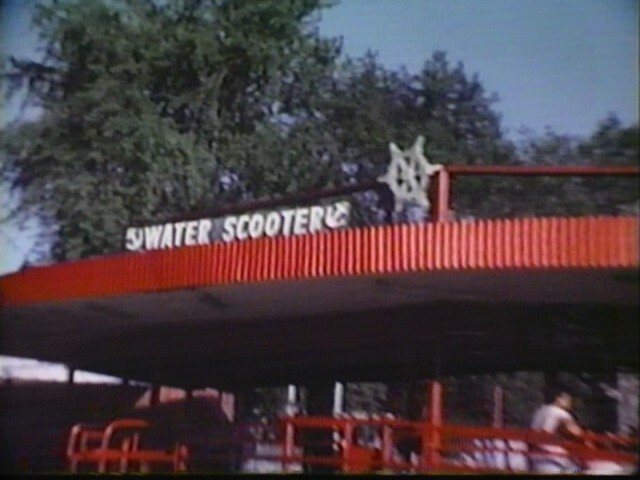 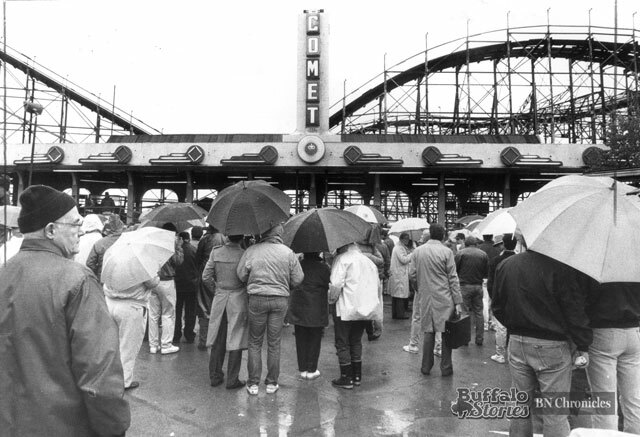 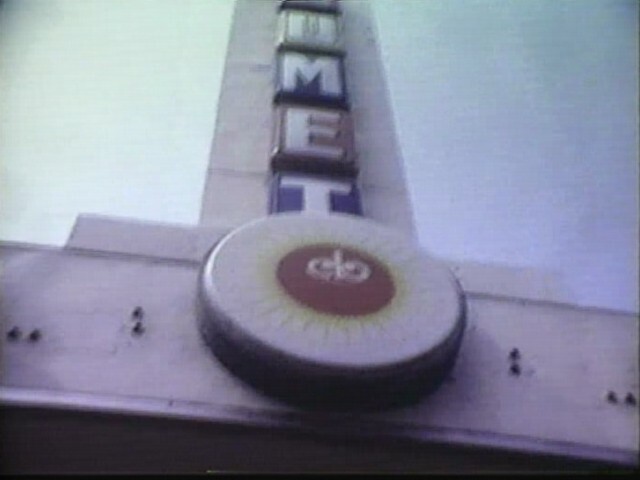 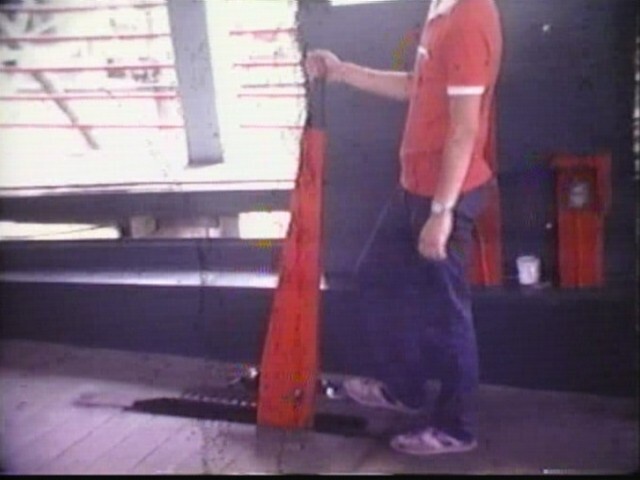 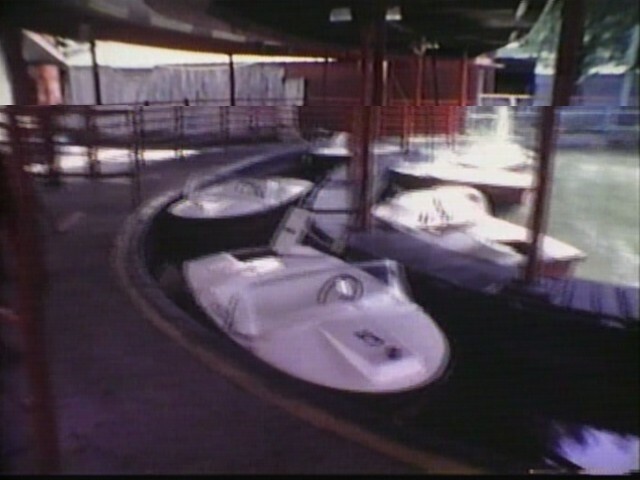 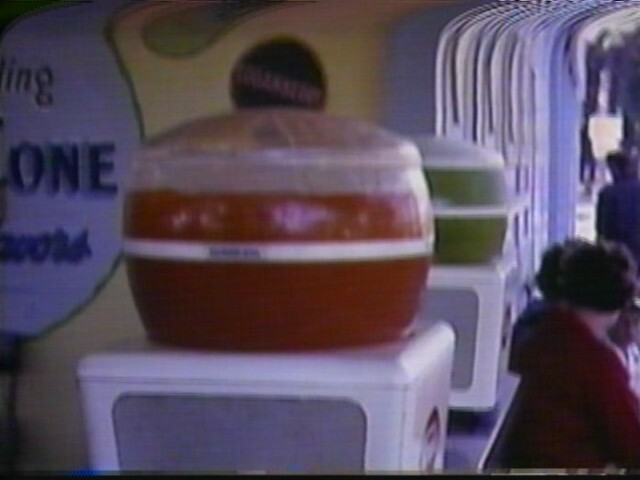 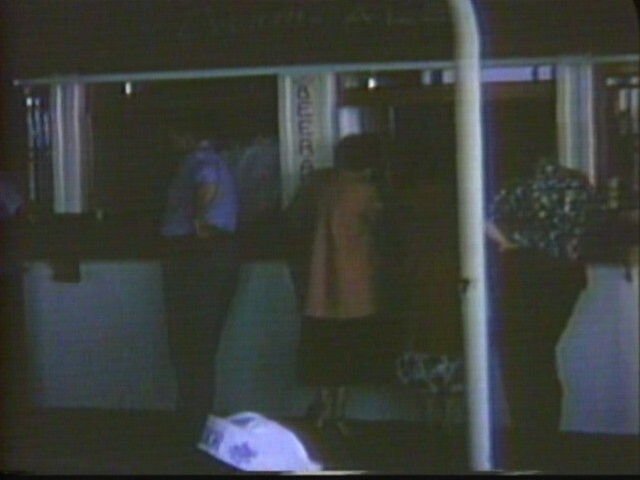 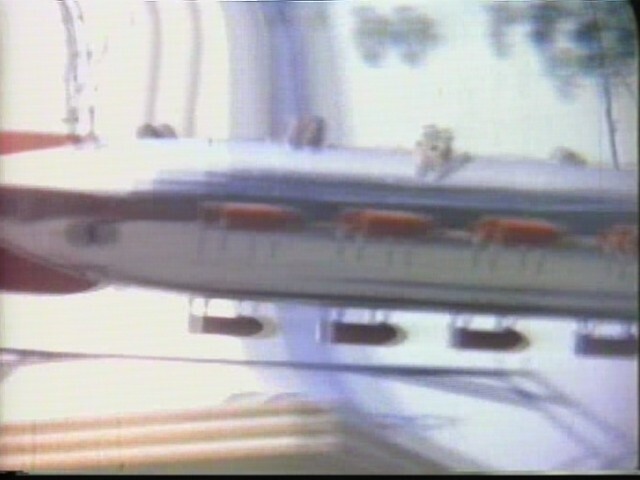 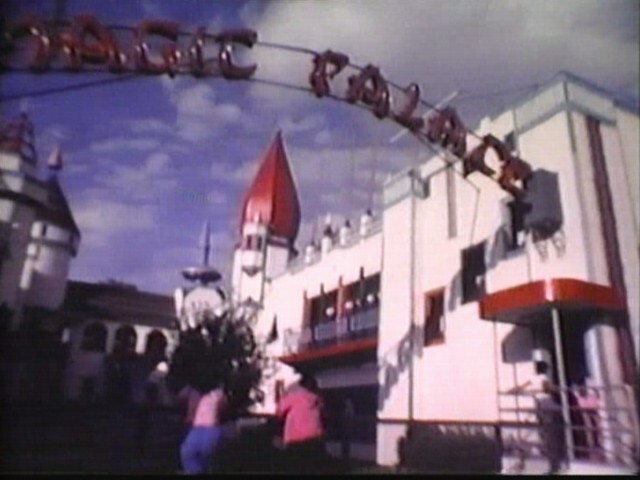 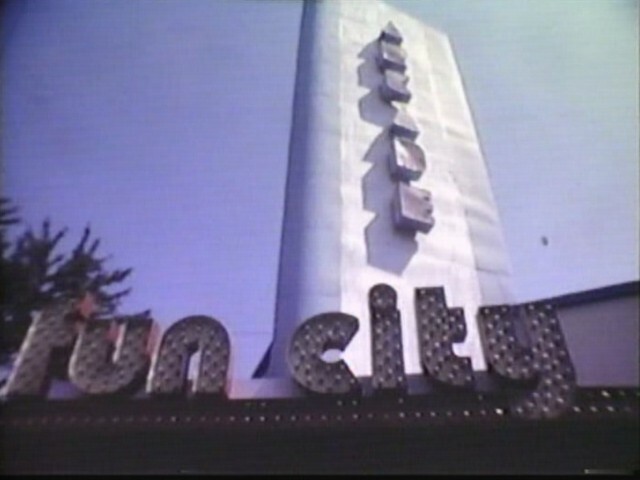 The Comet, the Giant Coaster, the Wild Mouse, Magic Carpet, The Roto-Jet, Scrambler, Auto Scooter, The Old Mill, even roller skating — those more popular thrill-inducing rides were going to cost you more than just 5 cents. 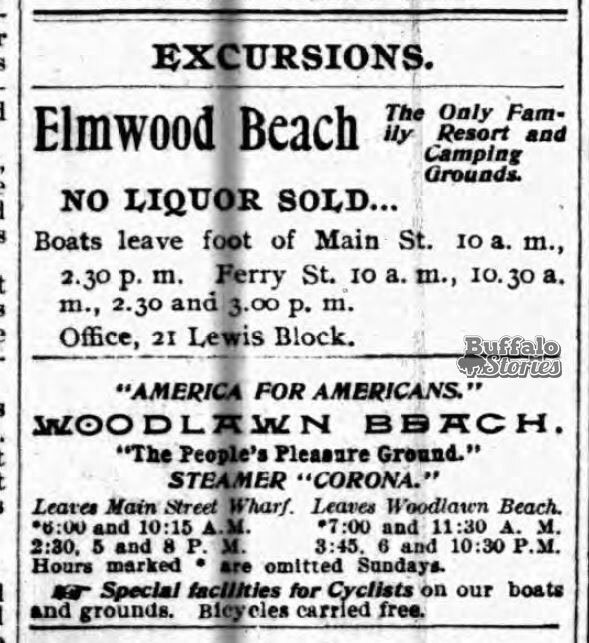 But at least the bathhouse and beach equipment rates were also at half price, too. 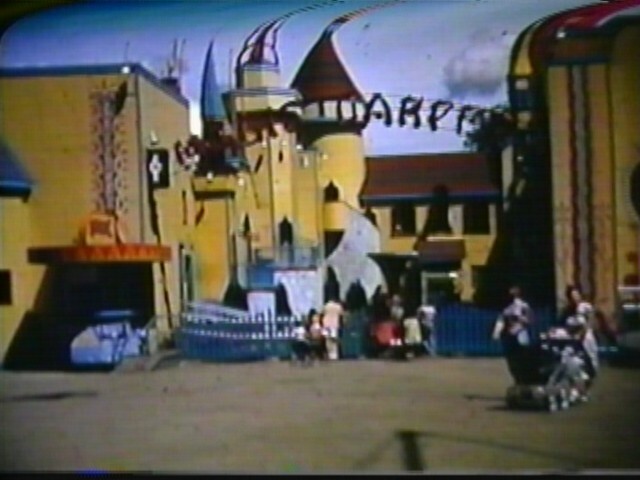 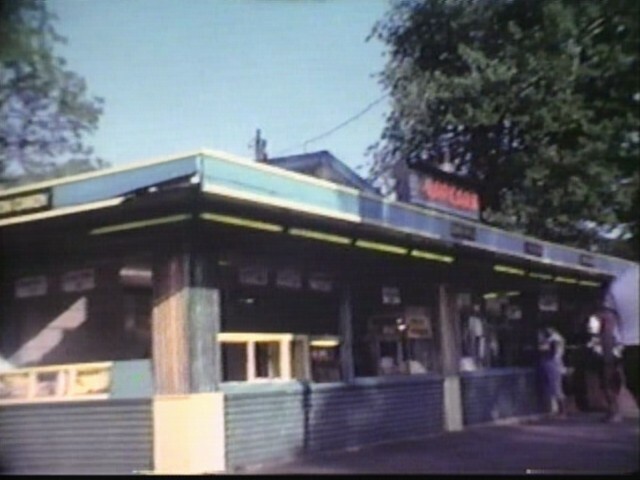 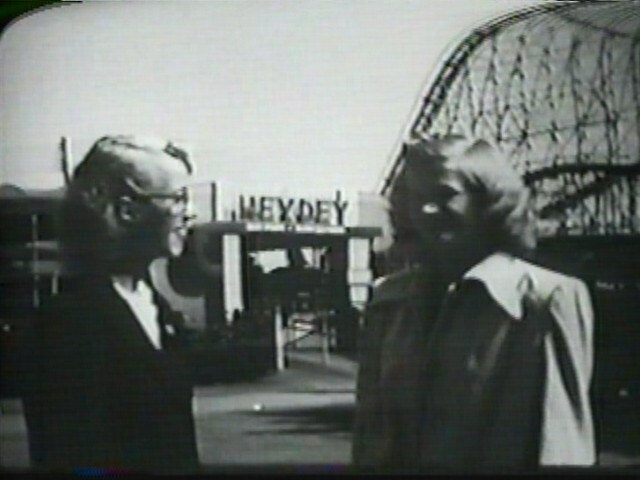 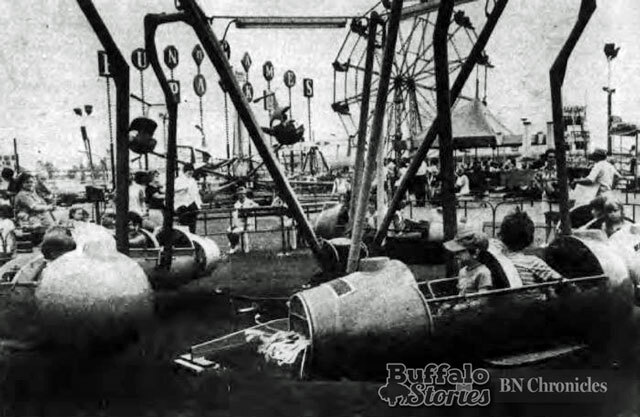 Buffalo’s most fondly remembered amusement park broke down exactly what made the place great in this ad published July 1, 1975– likely prompting some last minute begging to do what came only naturally to generations of Buffalonians– spend our nation’s birthday in a foreign country eating sugar waffles and drinking loganberry. 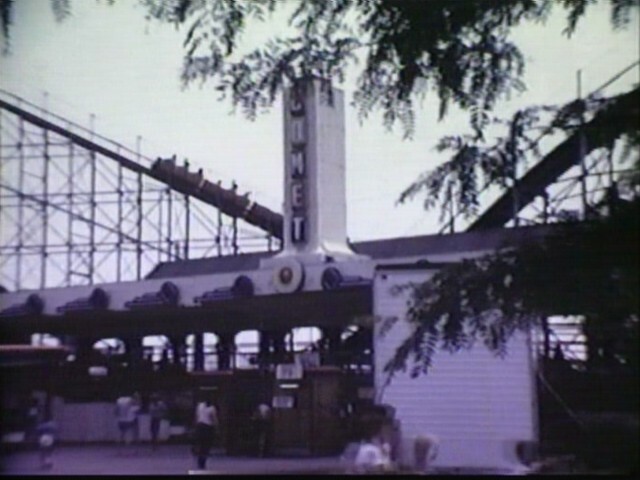 The Comet Coaster— towering 105 feet– one of the top 10 in the world. 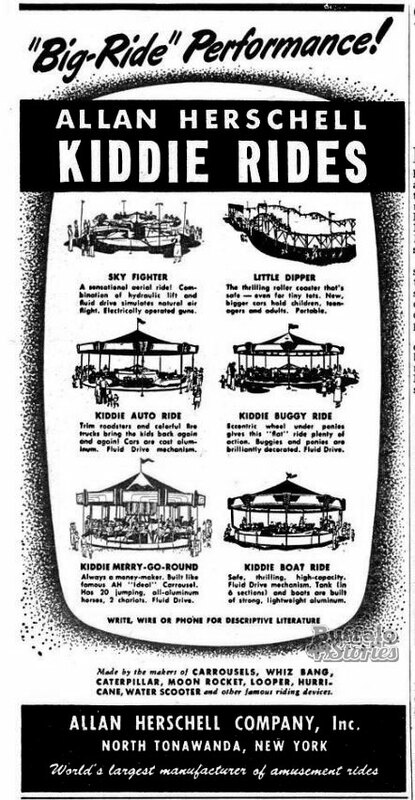 24 major adult rides— featuring the twirling TWISTER, the fantastic FLITZER, the mighty MONSTER, and the swinging CHAIR-O-PLANE. 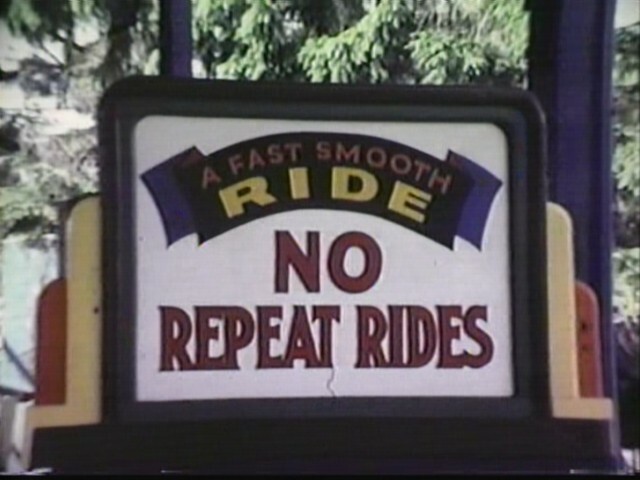 12 rides for the kids— try the all new AUTO SKOOTER and GLASS HOUSE. 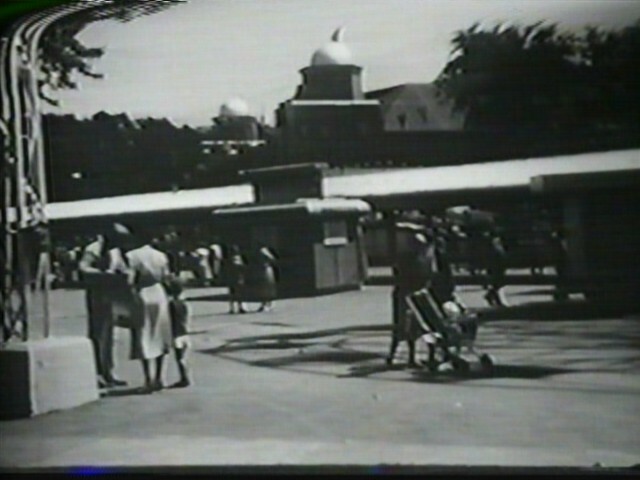 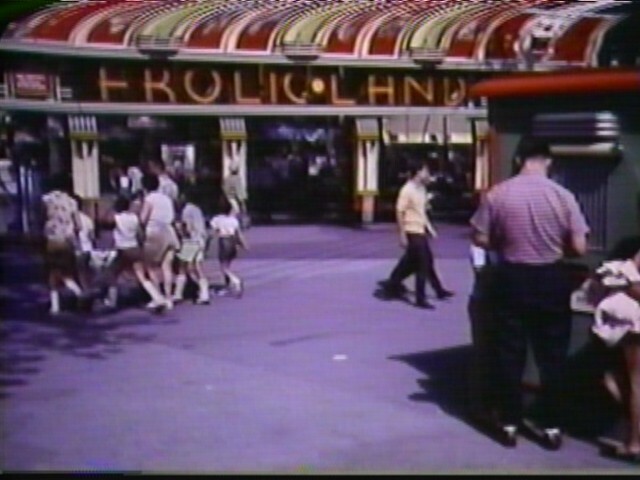 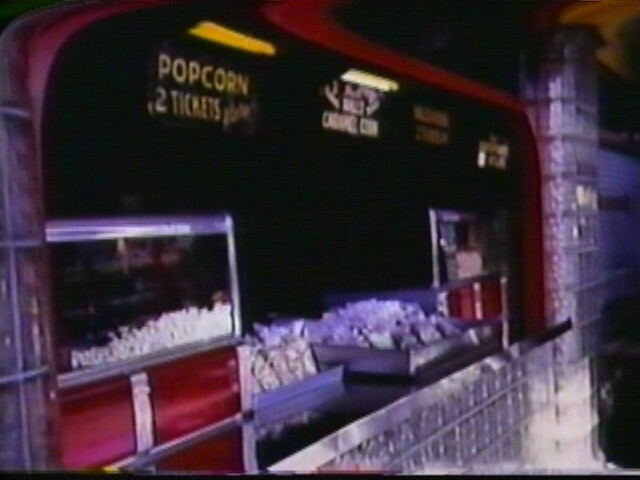 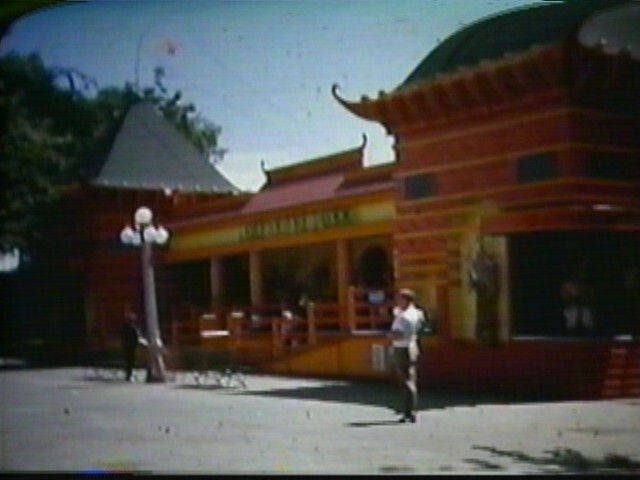 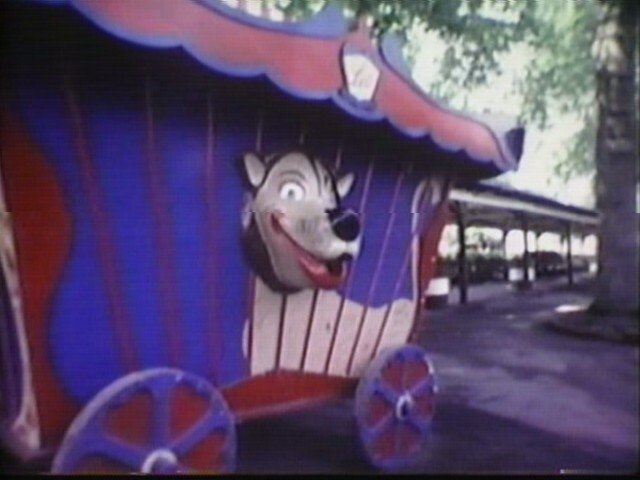 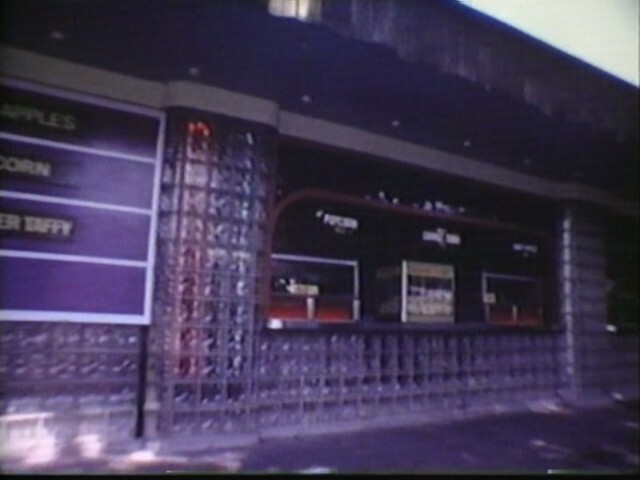 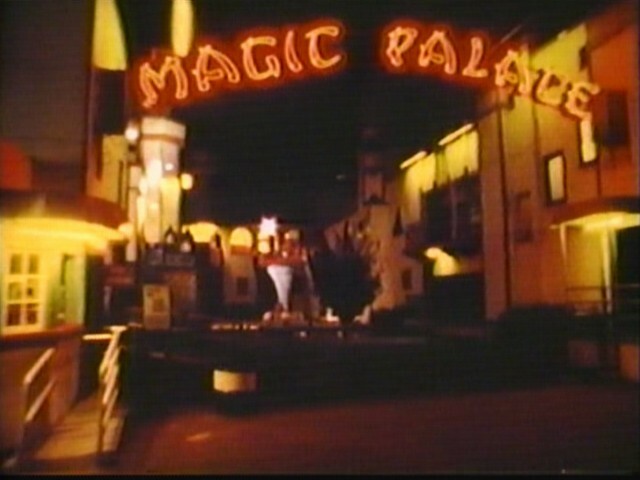 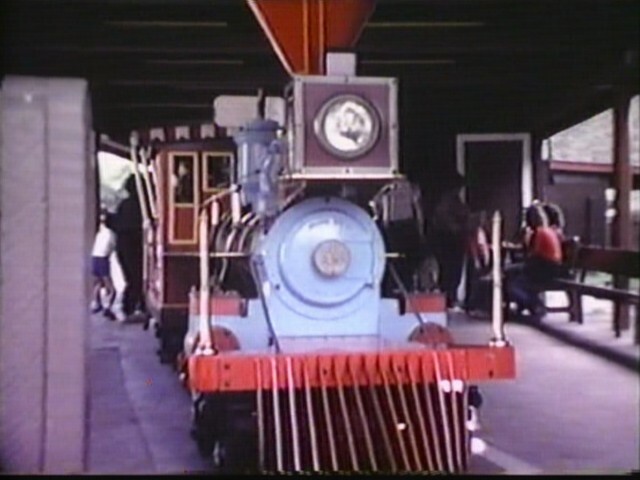 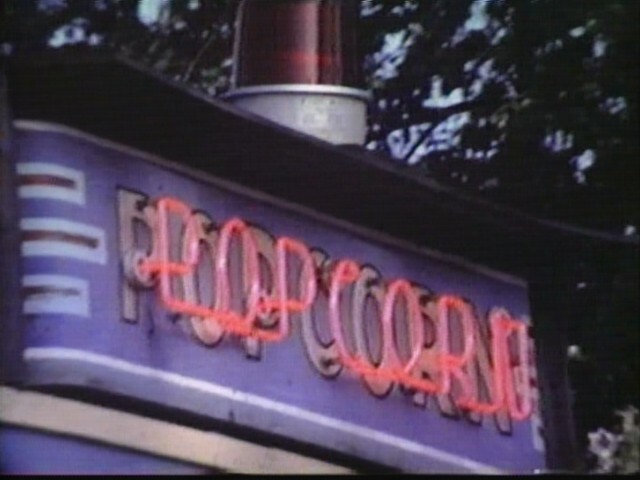 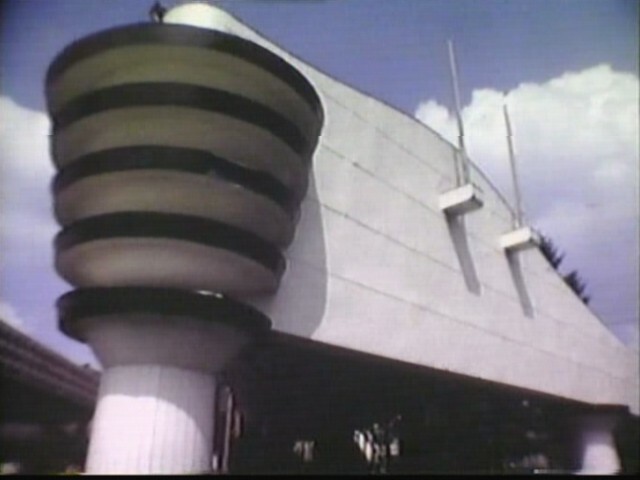 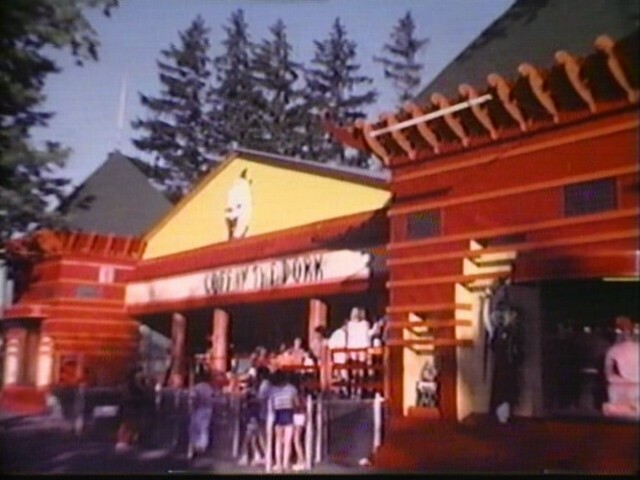 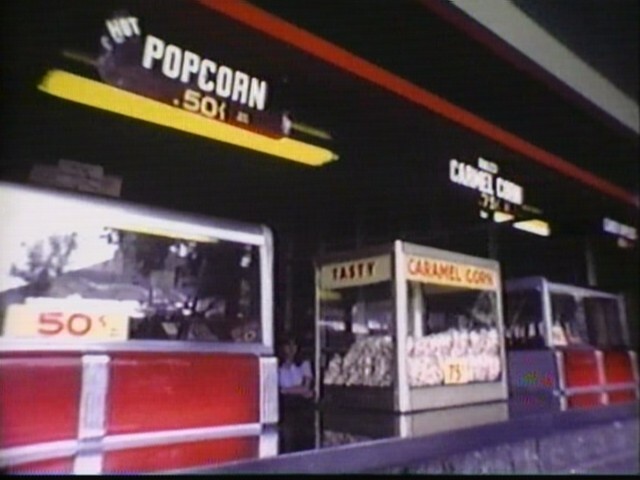 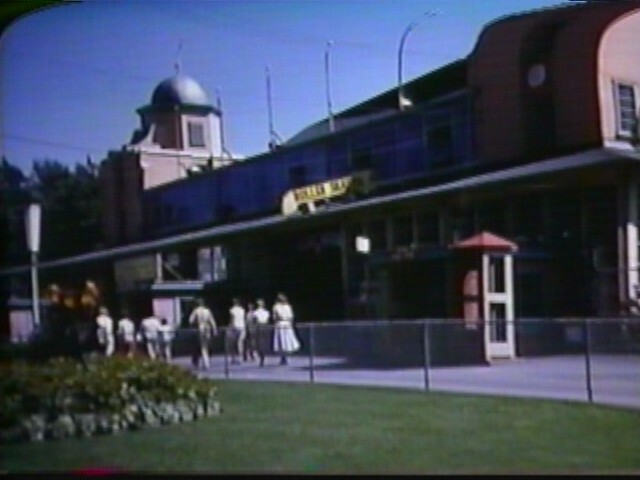 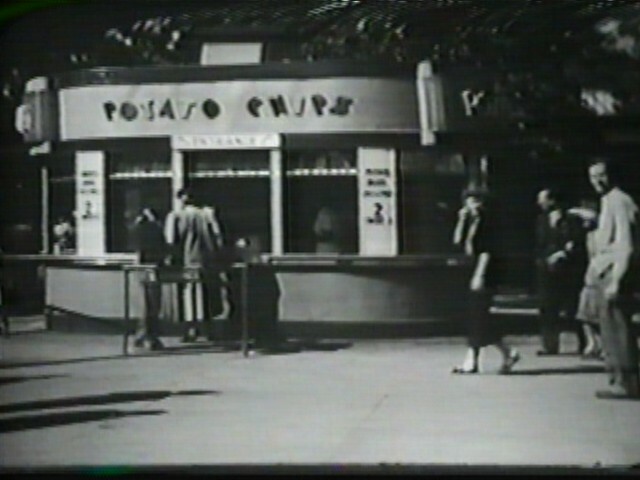 And… Dr. Miracles’ Wondercade, the Shootin’ Shack, Cafe International. 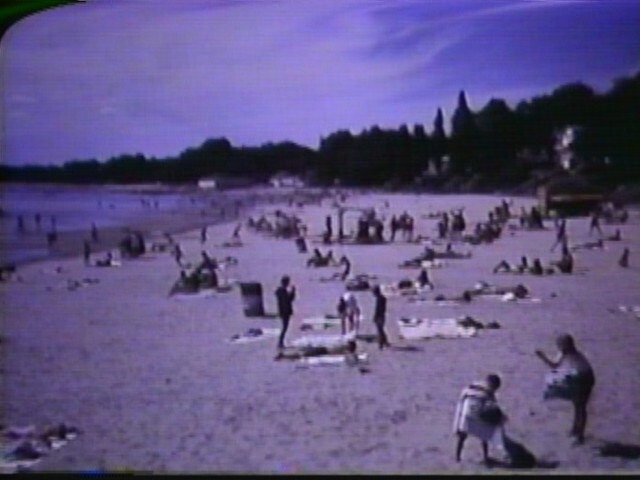 Swimming— 1/4 mile of clean, patrolled beach and sparkling water. 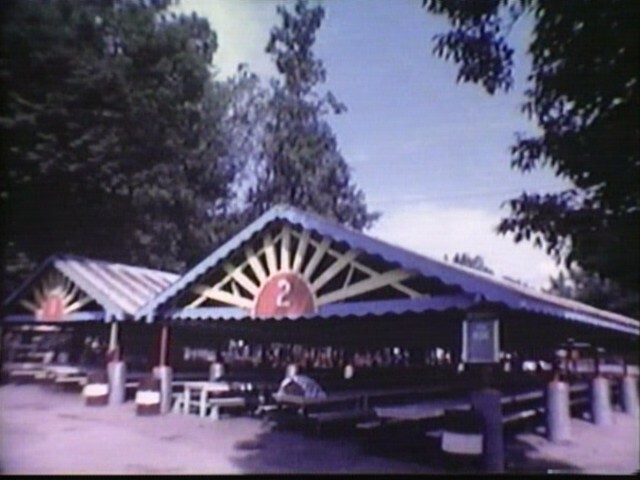 Free Picnic Grove— Covered sheltering for 3,500 people. 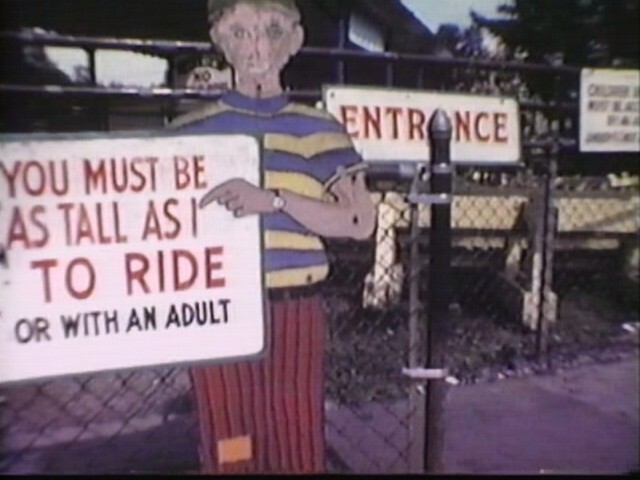 No admission charge— Ride what you like, like what you ride. 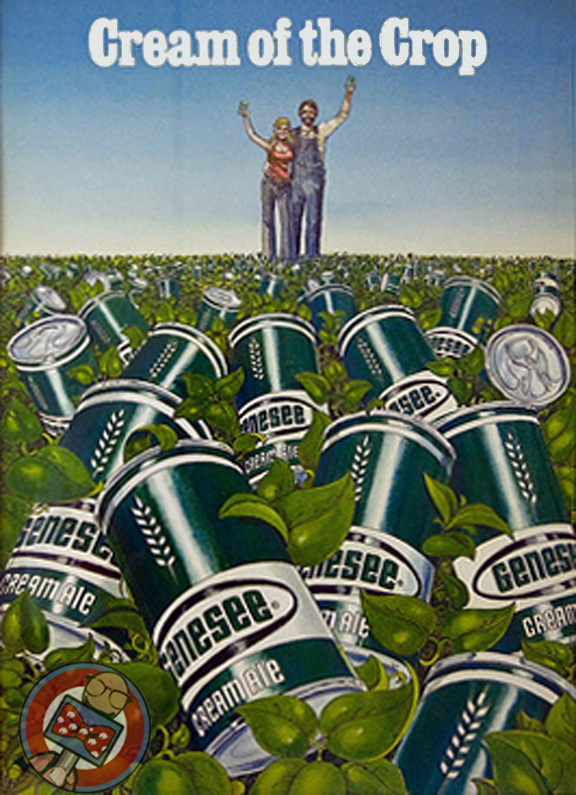 60 ways to be alive in ’75. 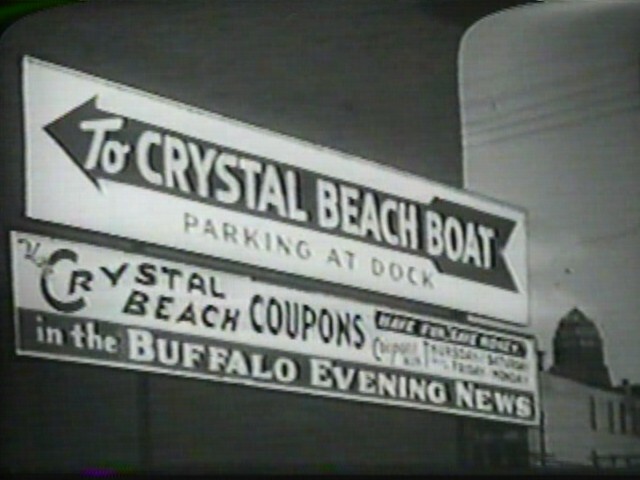 Out driving the day after the infamous Crystal Beach Boat Riot, this group of accused juvenile delinquents may have just picked the wrong day to cruise Buffalo’s West Side with a switchblade in their car. 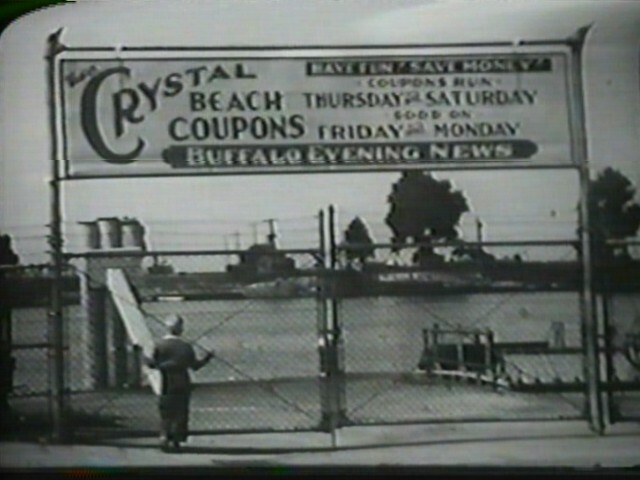 The summer of 1956 was one of conflict in Buffalo and with Buffalo youth across the lake in Fort Erie. 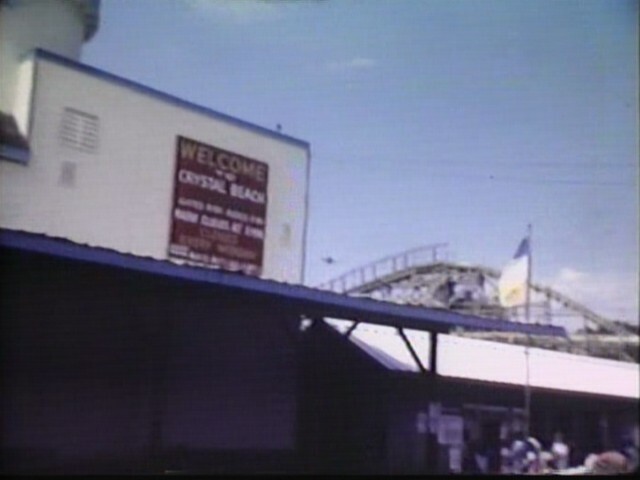 When the Crystal Beach Amusement Park opened on Memorial Day, the day ended with nine youths under arrest, and another six in the hospital with minor injuries. 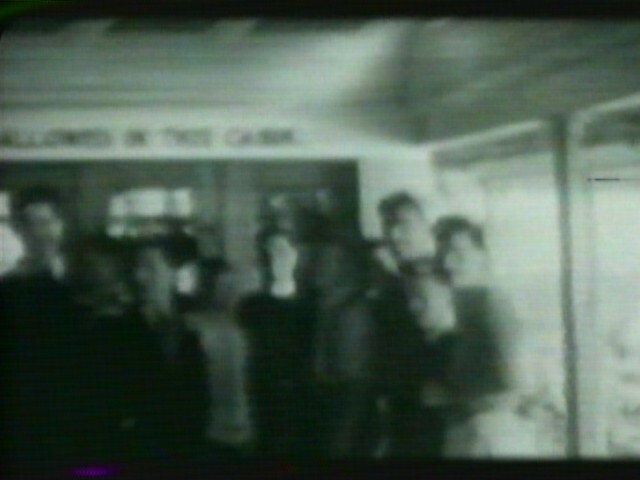 Those arrested and those injured were both black and white. 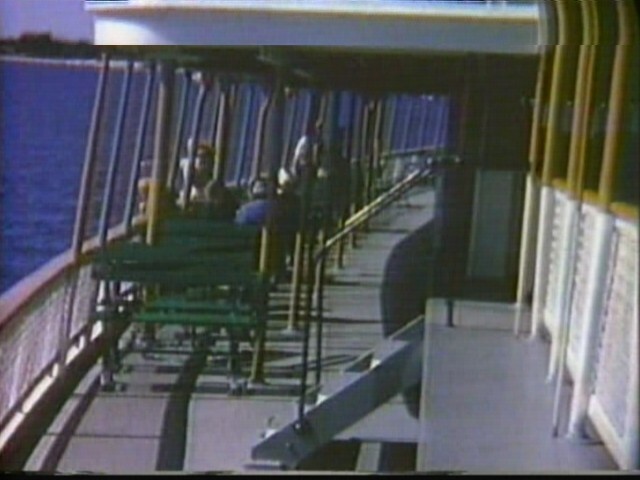 Stormy weather meant cramped conditions for passengers crowded into the covered areas of the boat during the 9:15 p.m. run. 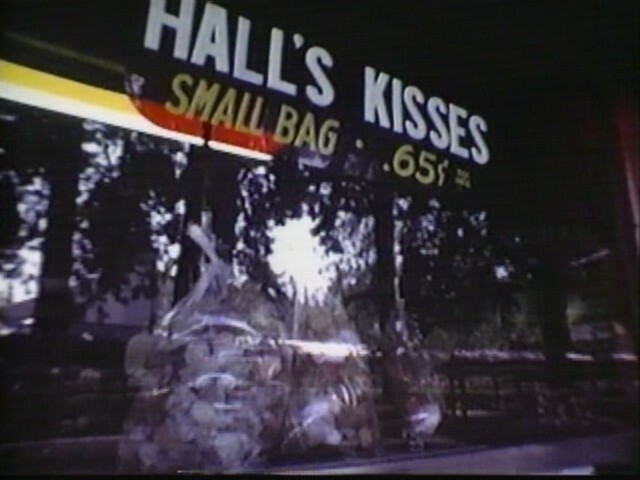 Tensions already high from the fight in the park a few days earlier boiled over. 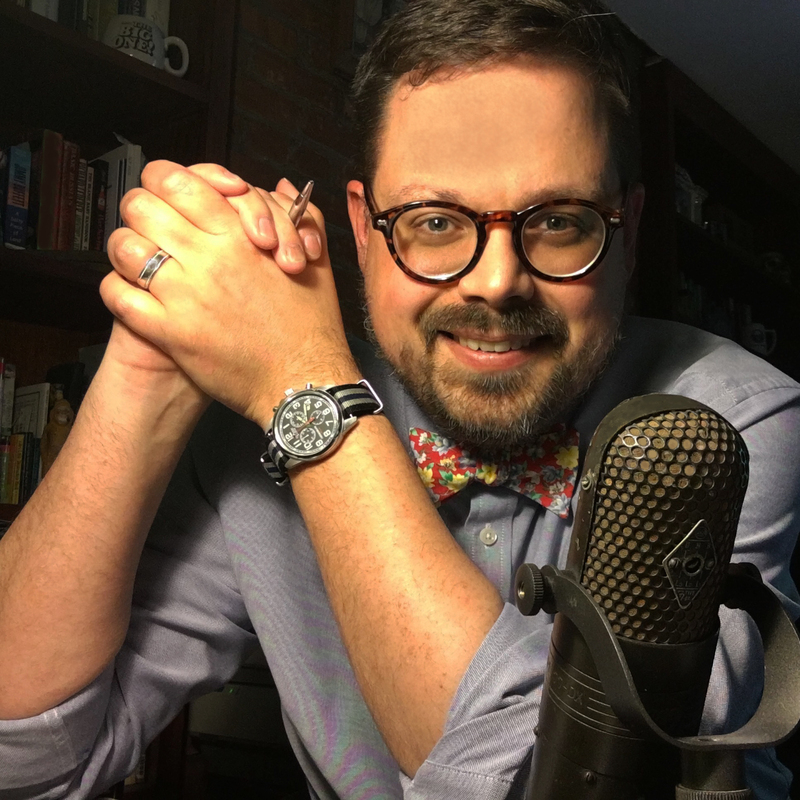 Many of those involved said it had more to do with neighborhood or school pride than race, but the resulting breakdown was the same: White youths fighting black youths and black youths fighting white youths. 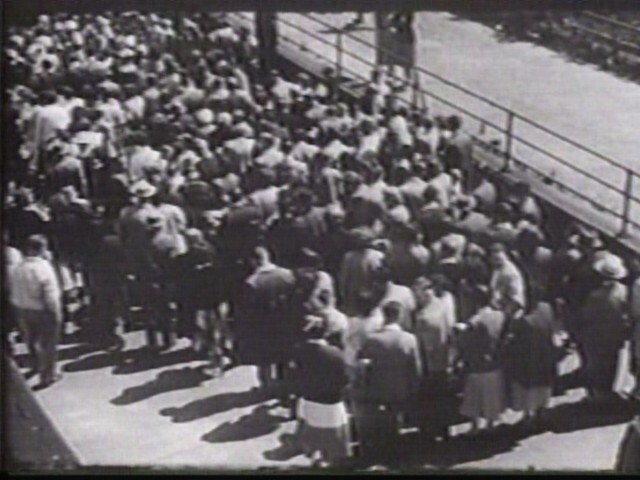 Kids of both races with no previous records of misbehavior at school or with the police got caught up in the melee. 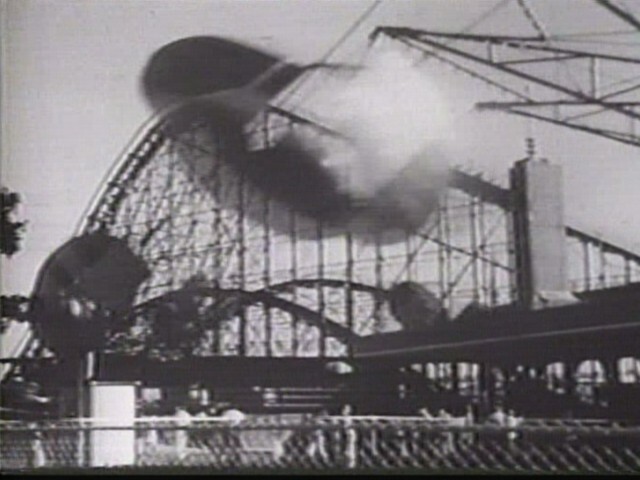 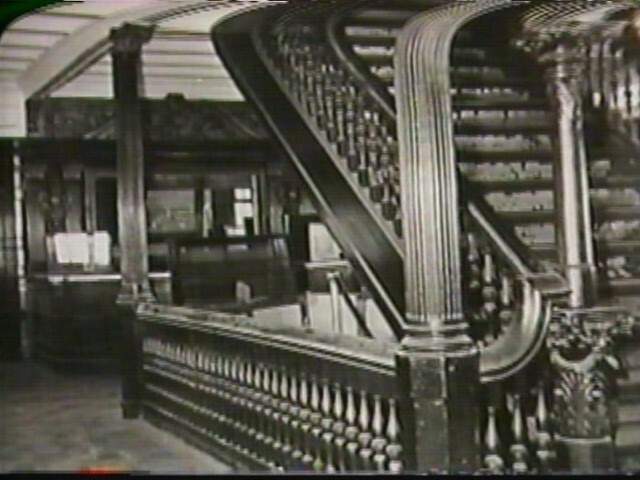 Investigations by the FBI and a panel established by Mayor Steven Pankow showed that early newspaper reports of “a nightmare of flashing knives and sobbing passengers” didn’t paint the full picture. 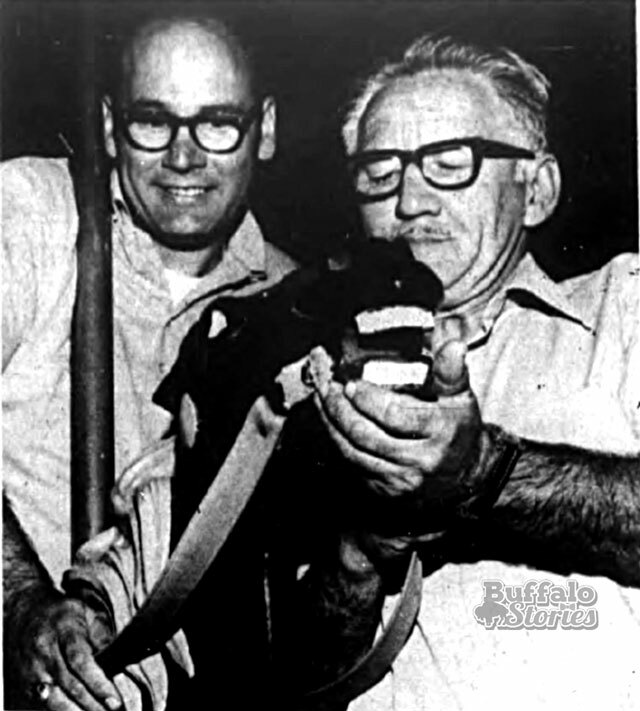 What in retrospect was Buffalo’s earliest manifestation of the civil unrest and racial tensions that were to come during the civil rights movement of the 1960s was at the time downplayed as less about race and more about juvenile delinquency. 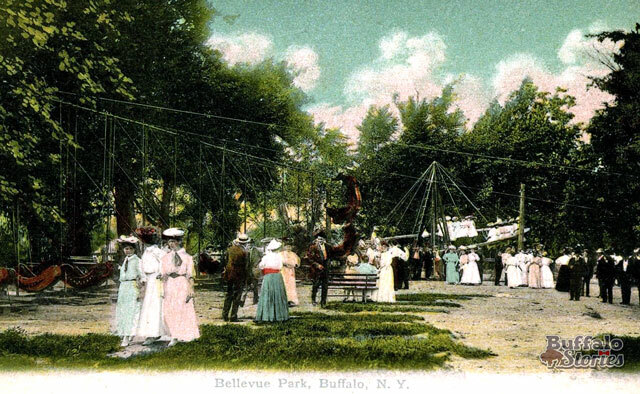 Three black youths were arrested, but city fathers and the black community called it an unfortunate isolated incident, attributable to hooliganism among the young rather than racial tension. 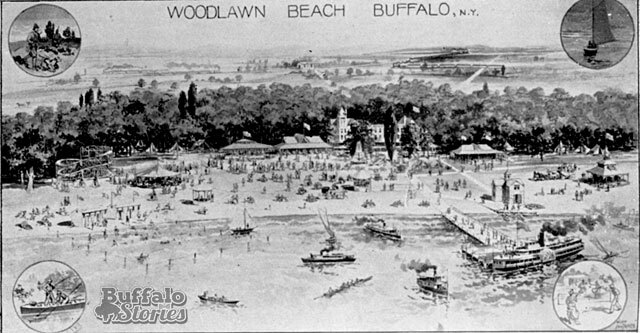 Police vowed to stop the violence and quell the rowdy behavior of Buffalo’s young thugs and troublemakers. 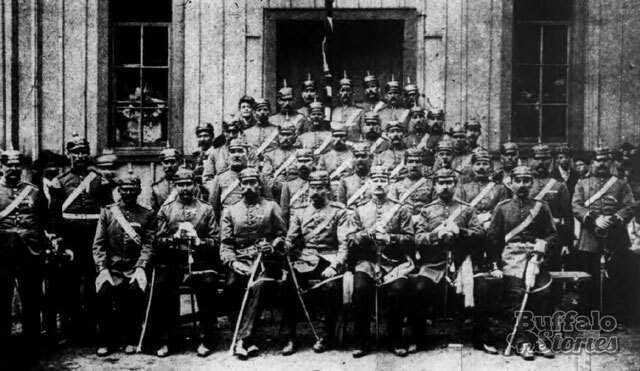 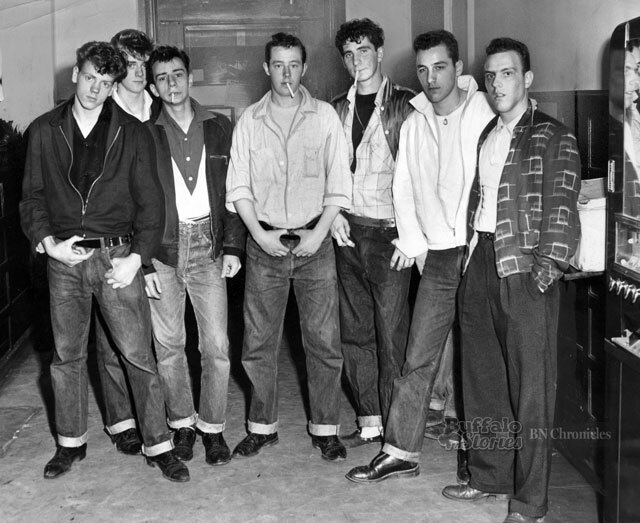 Within 24 hours of the Canadiana riot, the boys pictured above were taken to the Niagara Street Police Station after a switchblade was found in the car they were riding in—they were all charged with possession of the single knife. 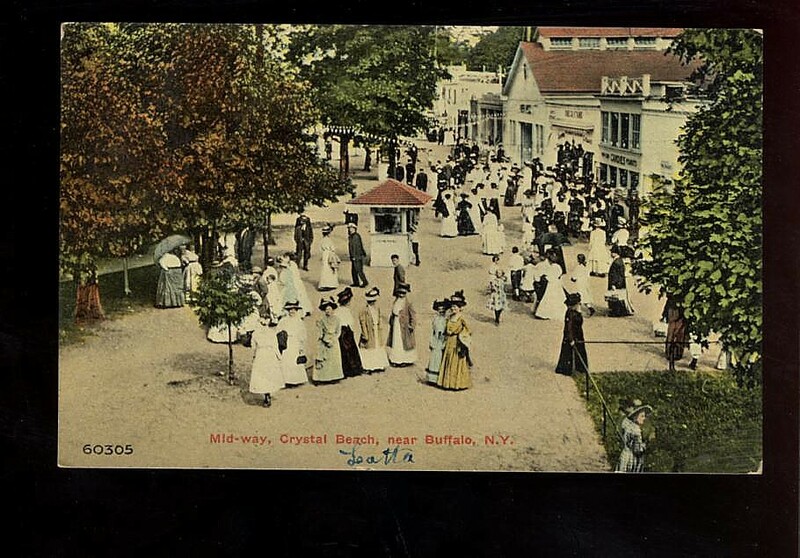 While civic leaders downplayed the role of race in the problems of that summer, race relations in Buffalo were permanently harmed. 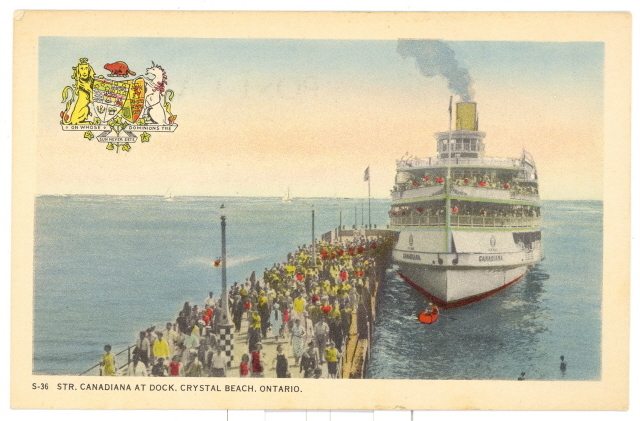 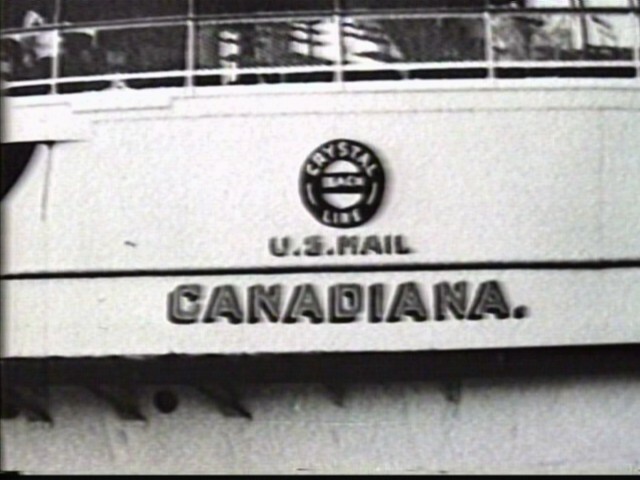 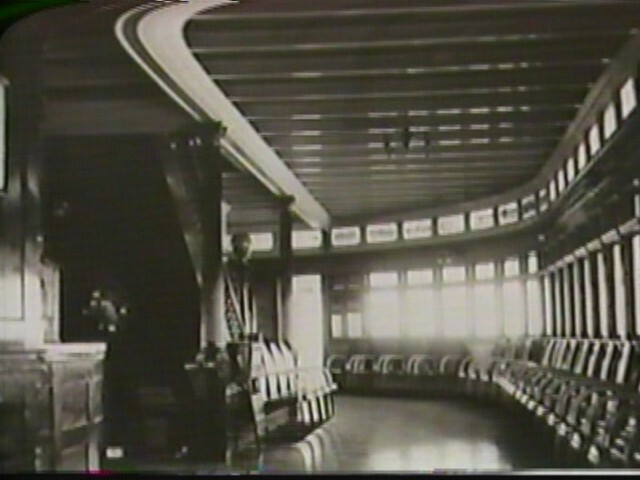 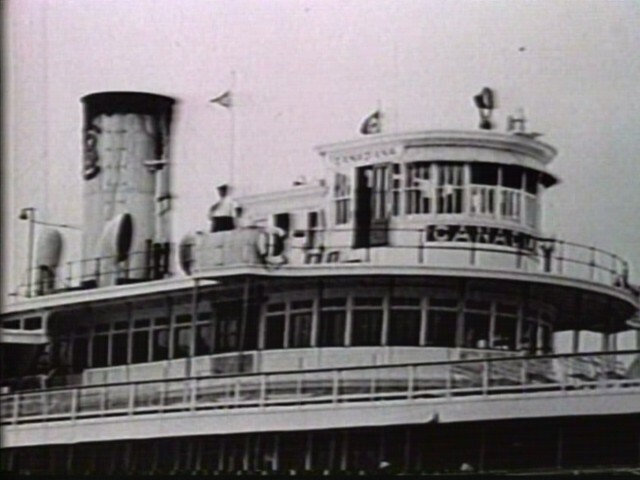 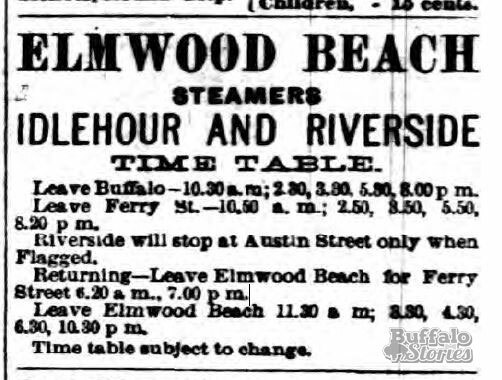 The riot aboard the Canadiana was also the final straw for steamer service which was already struggling with increased competition from cars and buses. 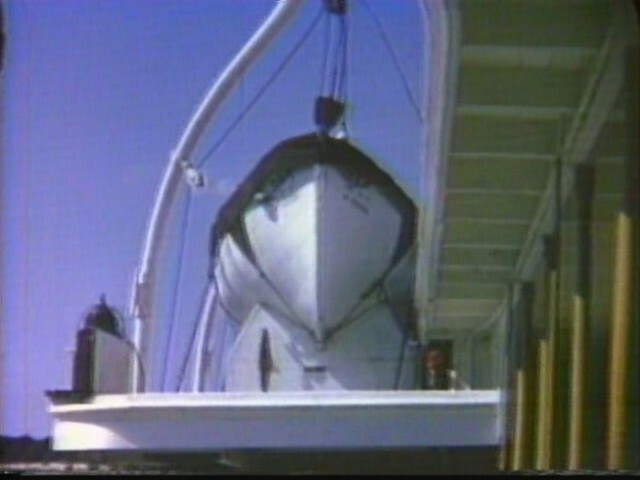 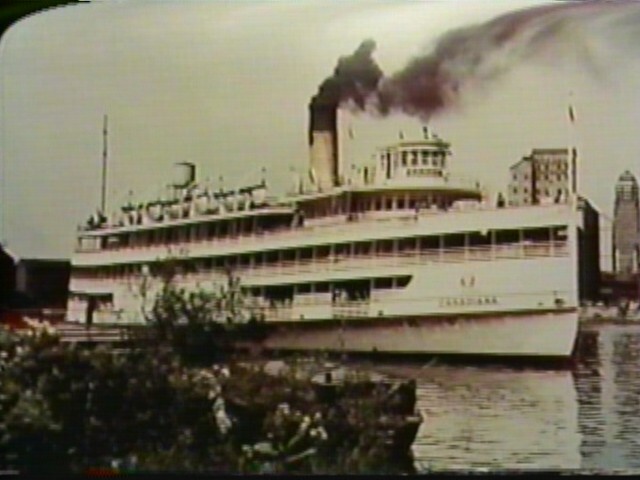 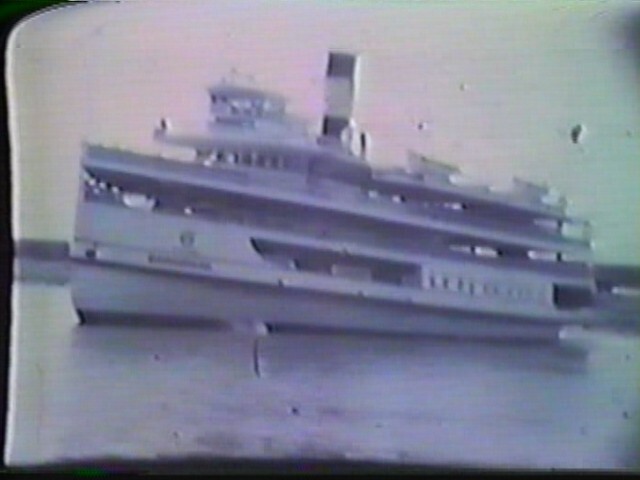 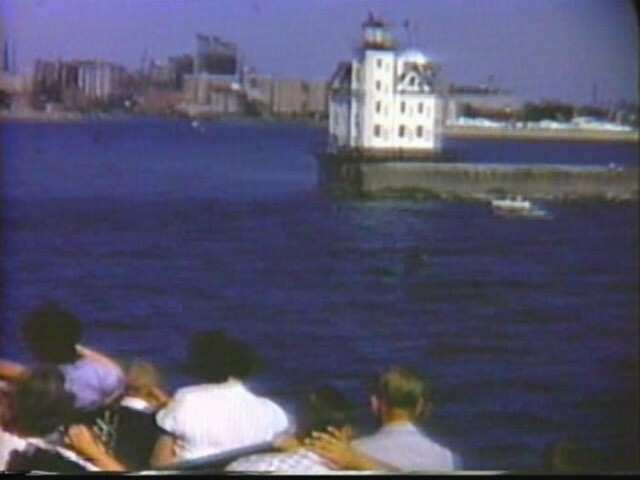 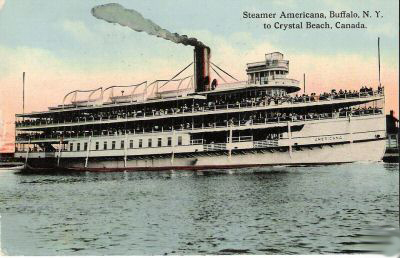 The summer of 1956 was the last season for the boat which, since 1910, had carried 18 million passengers between Buffalo and Crystal Beach. 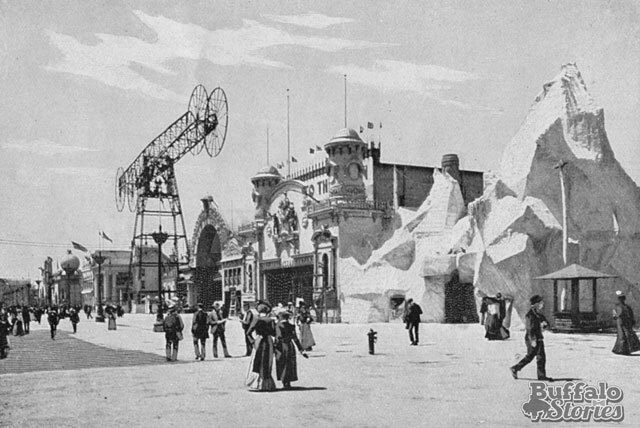 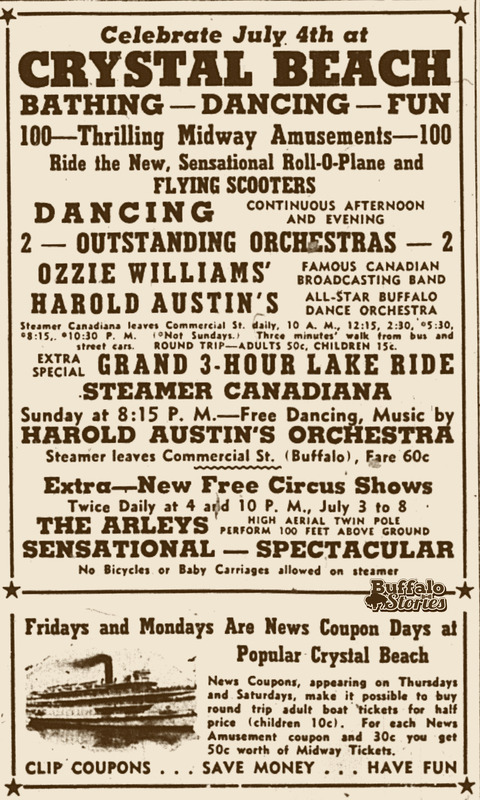 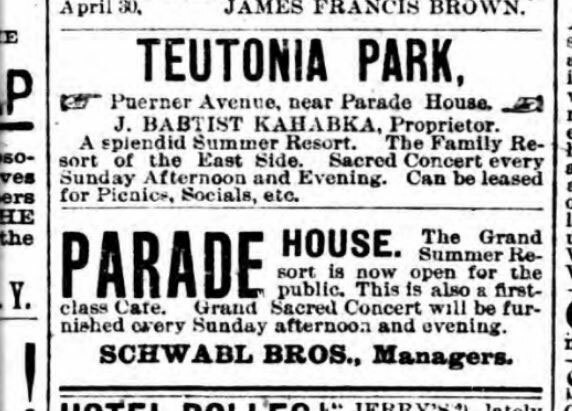 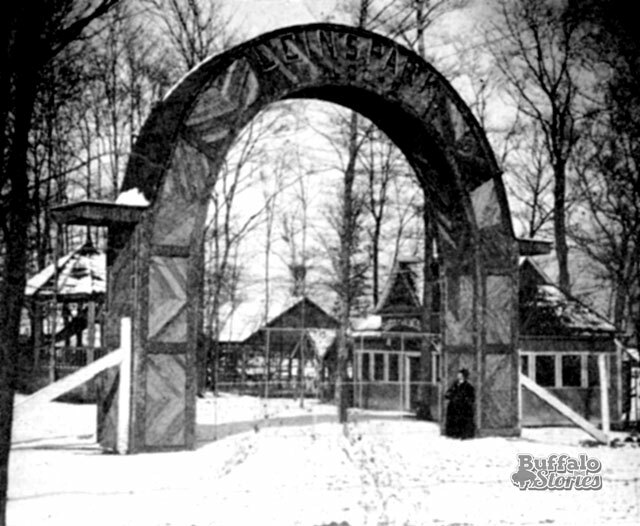 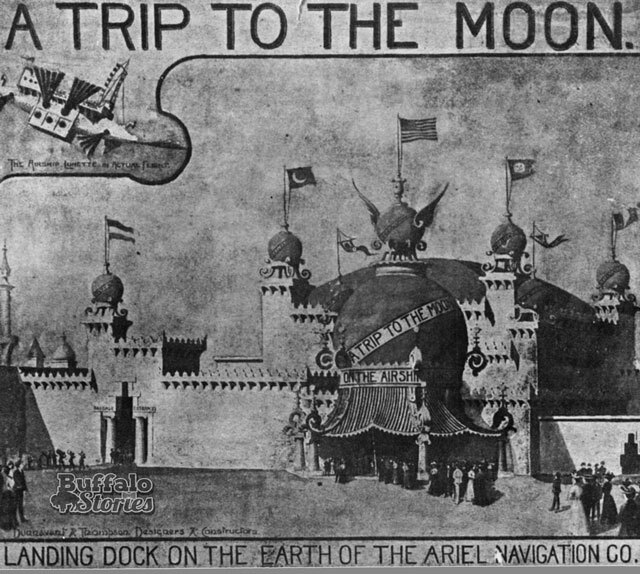 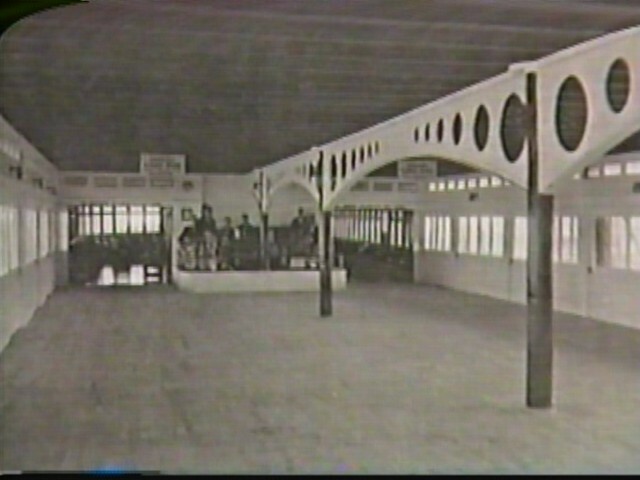 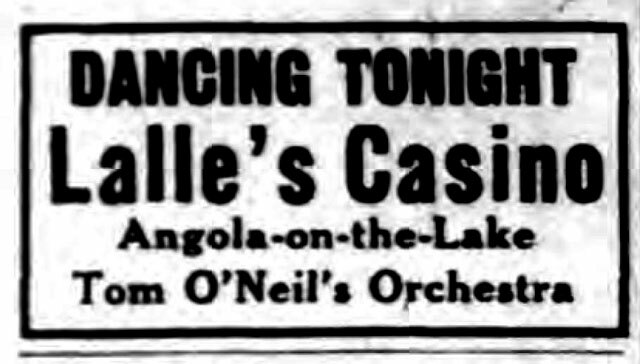 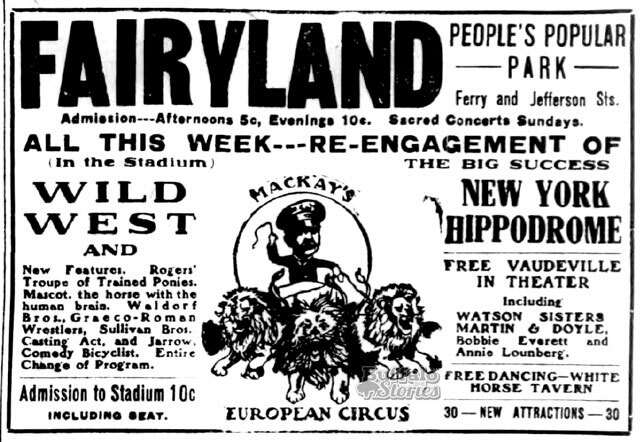 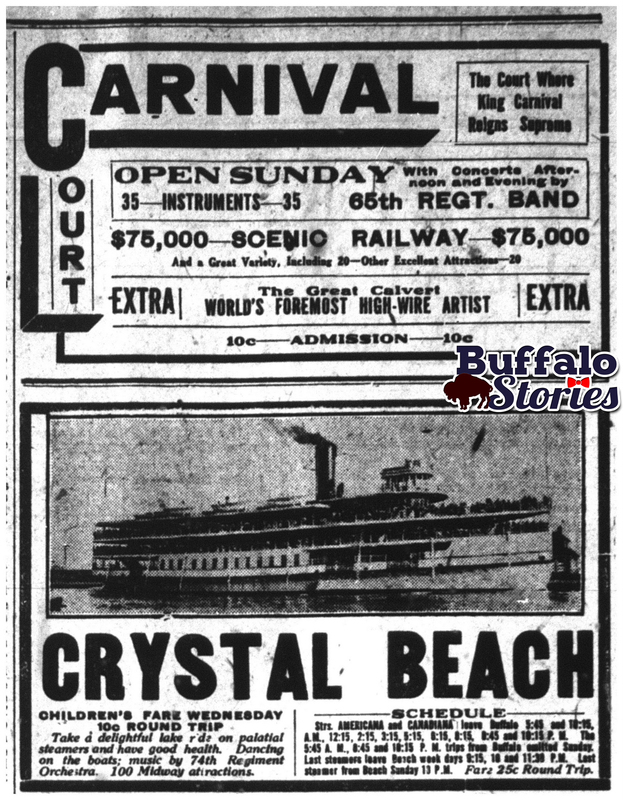 Buffalo’s biggest and most lusted-after amusement parks were heavily advertised in the pages of The News 110 years ago. 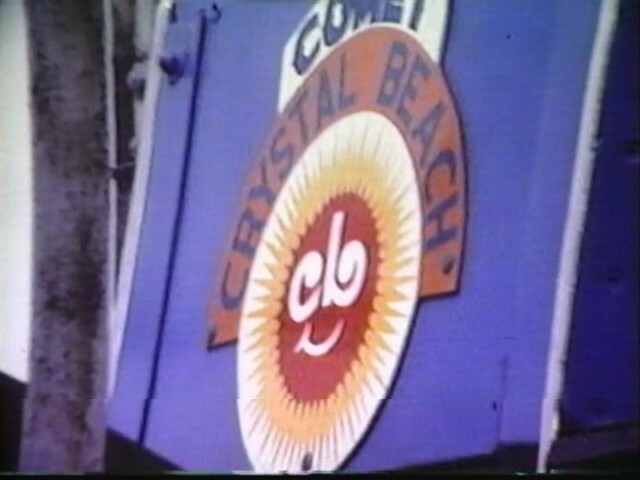 Buffalonians older than 40 are likely to remember dreaming about Crystal Beach themselves. 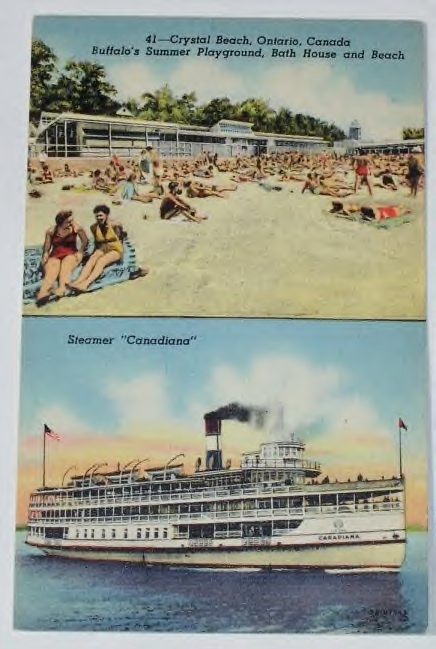 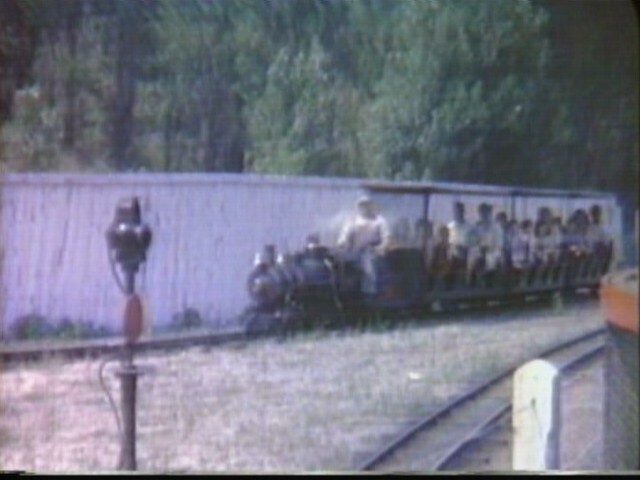 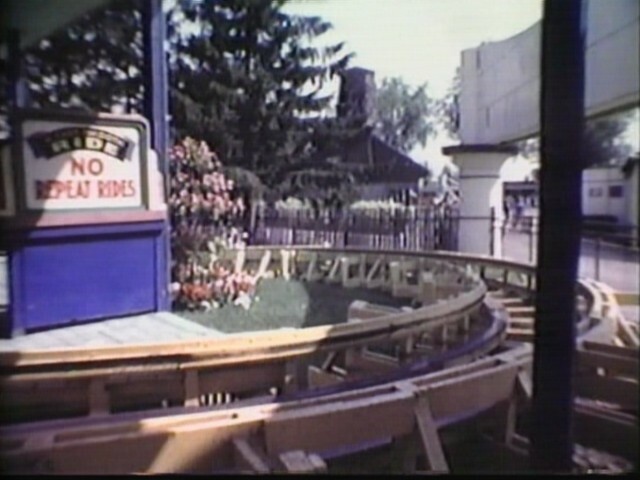 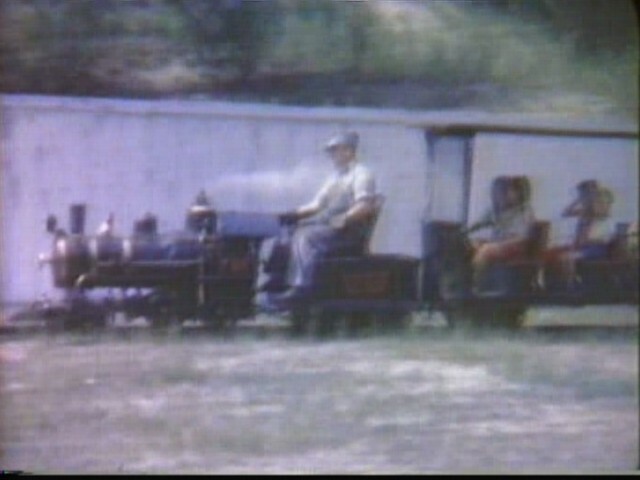 Buffalonians older than 70 might even remember riding the steamers Canadiana and Americana to get there. 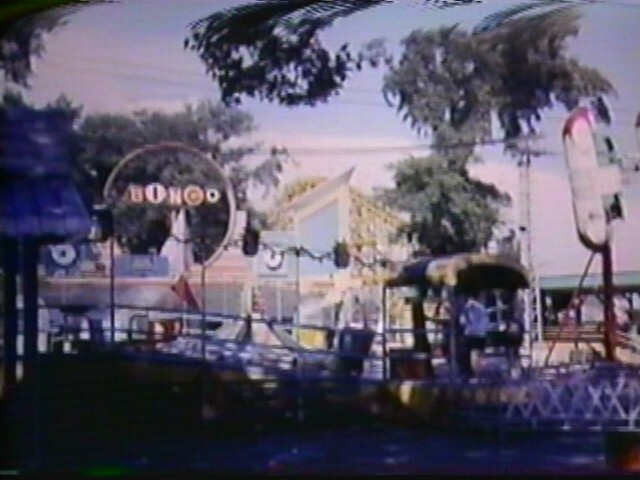 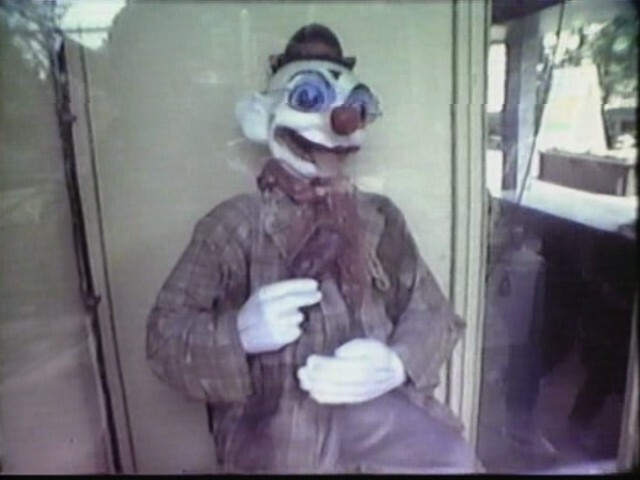 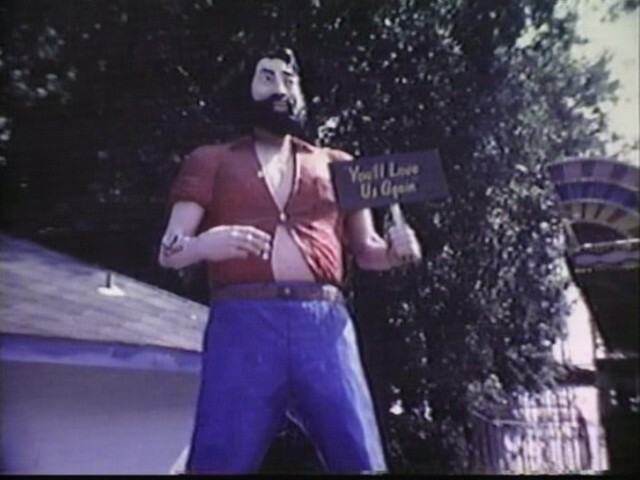 You’d be hard pressed, however, to find a living Buffalonian who remembers the big amusement park that was within city bounds. 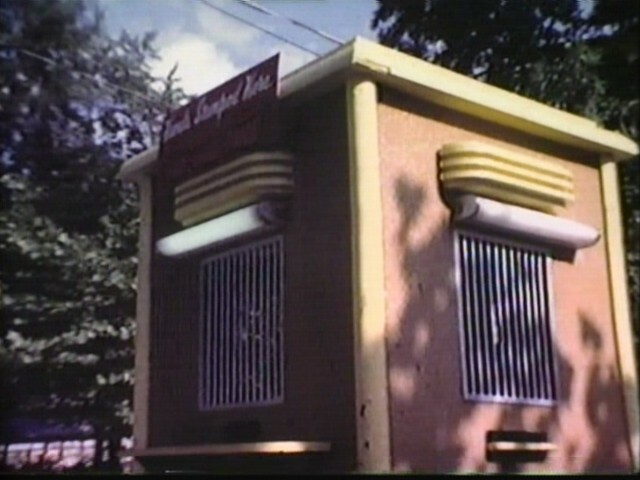 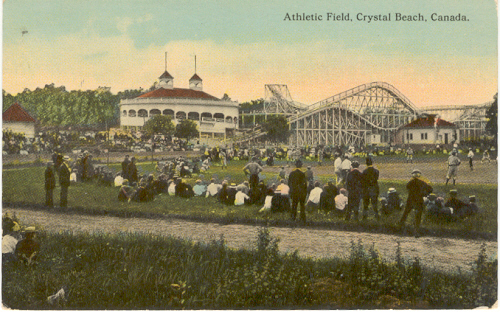 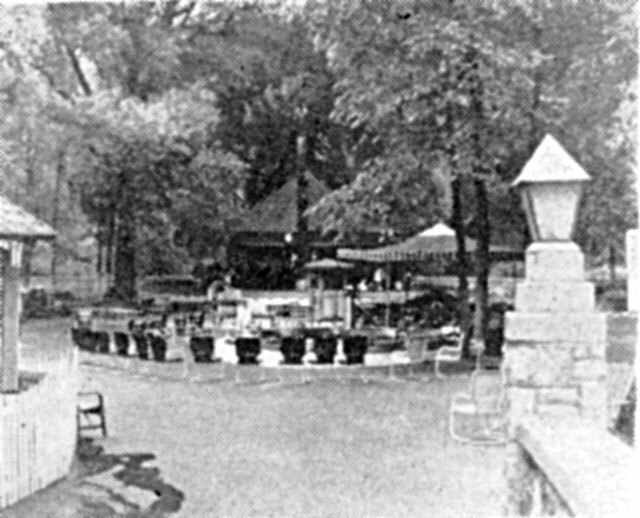 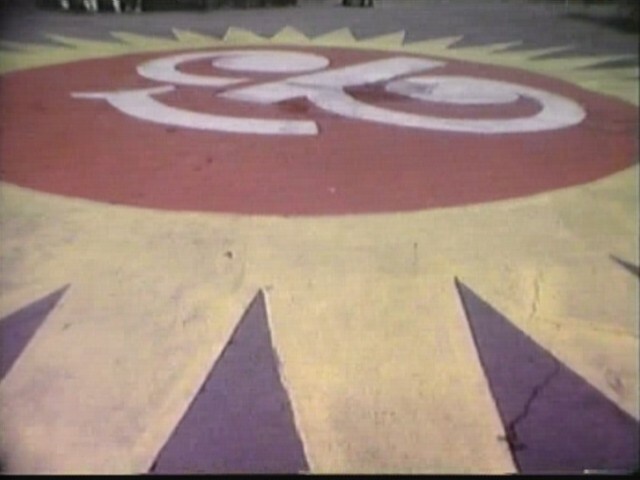 Carnival Court, later known as Athletic Park, was a Crystal Beach-like experience but was only a streetcar’s ride away, at the corner of Jefferson Avenue and Main Street. 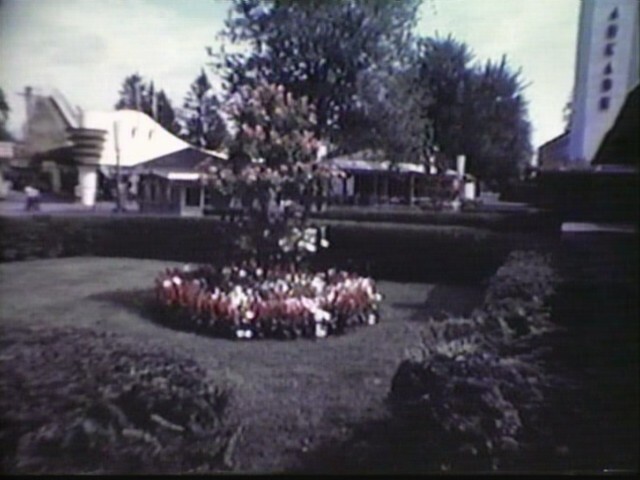 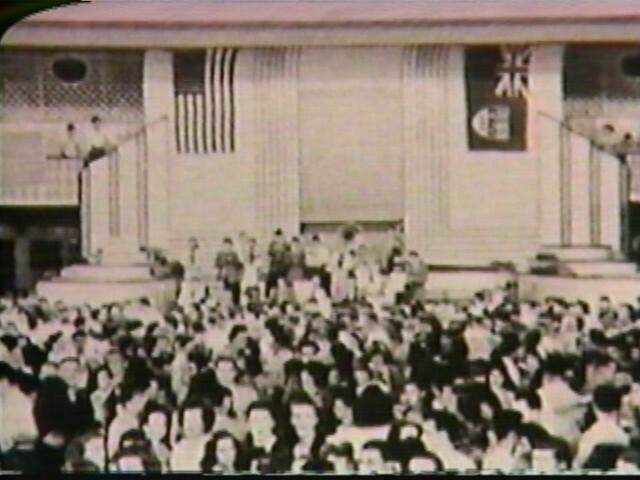 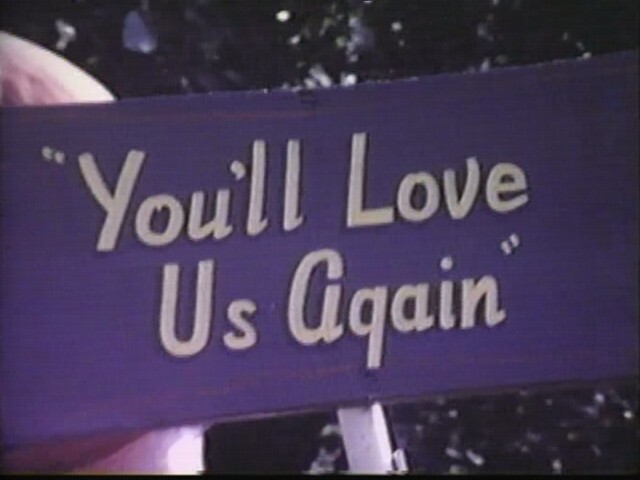 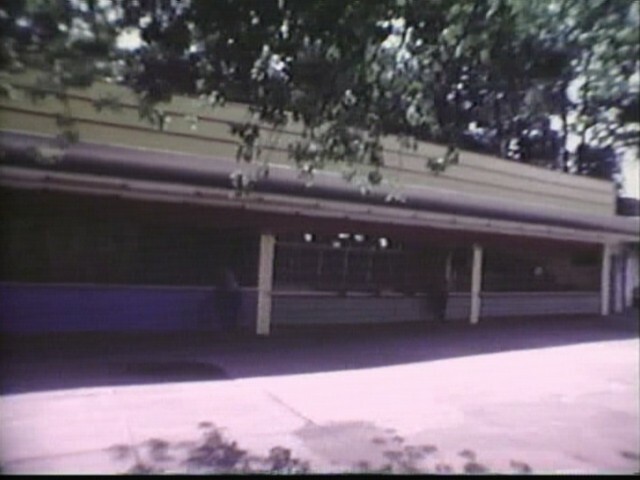 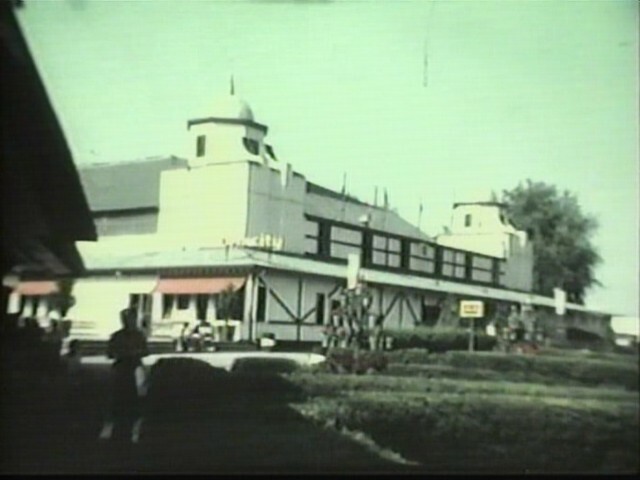 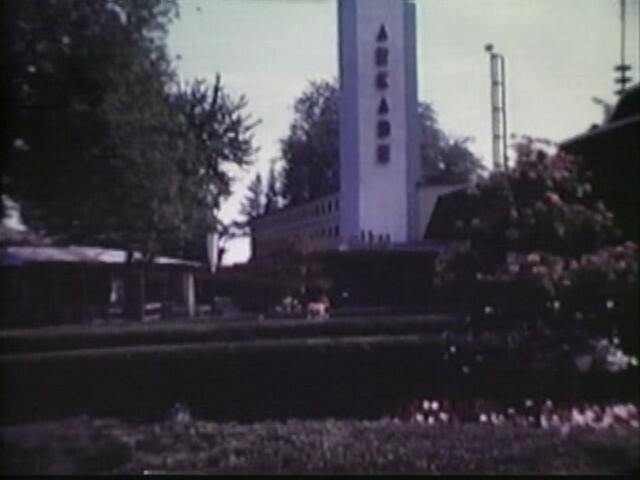 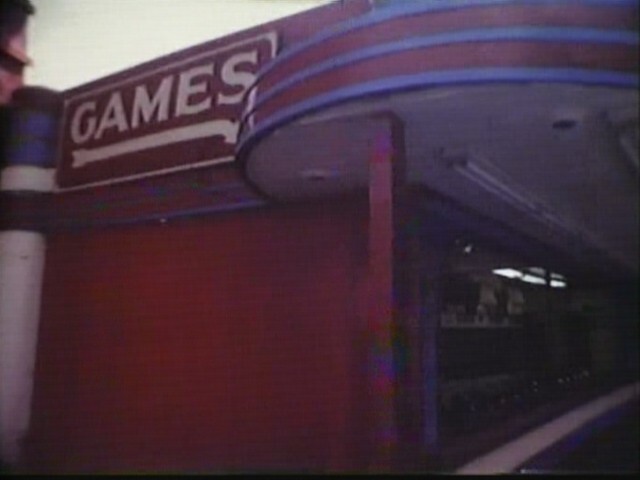 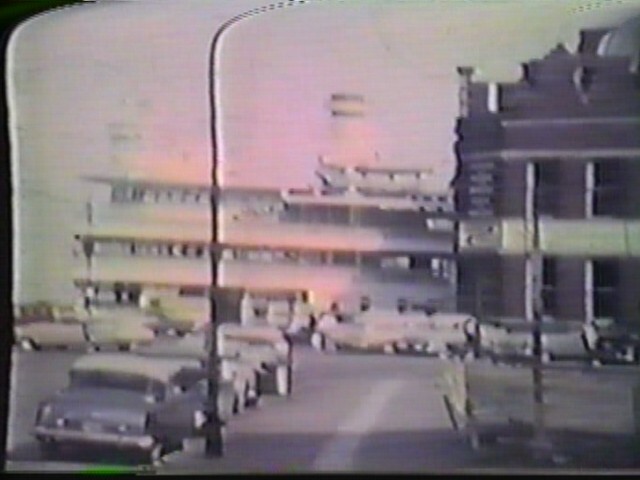 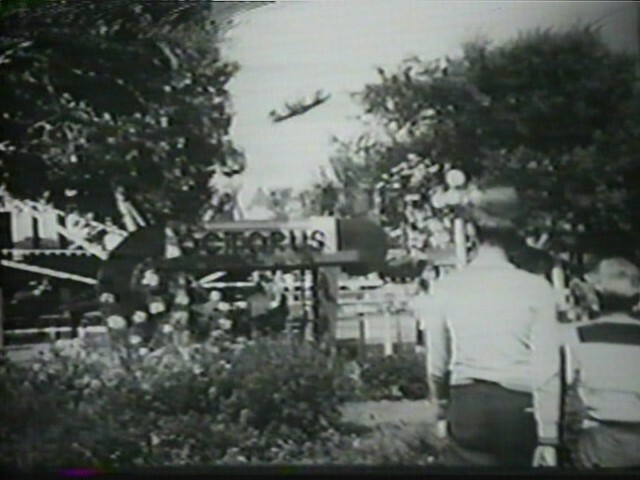 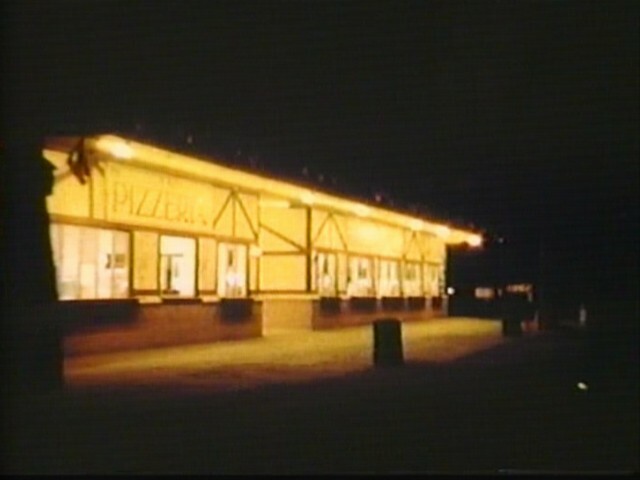 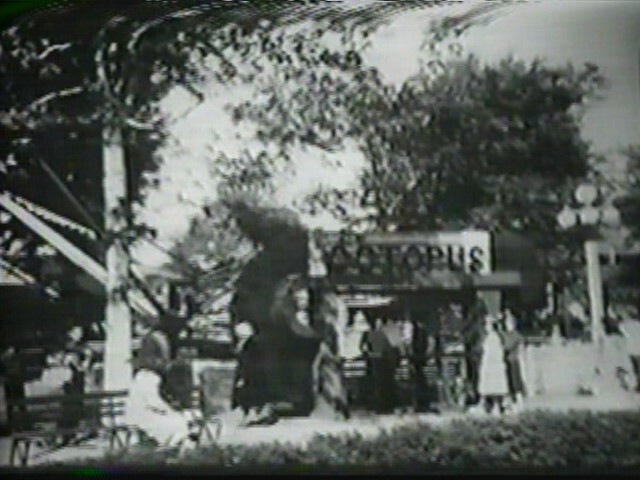 A fire destroyed much of the park, and it was torn down and replaced by a Sears & Roebuck store. 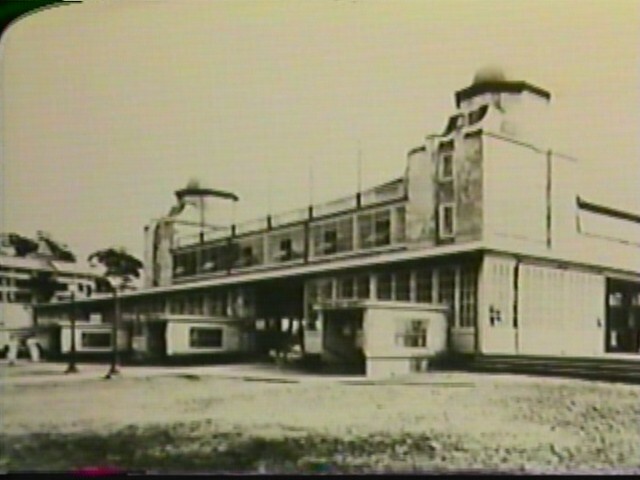 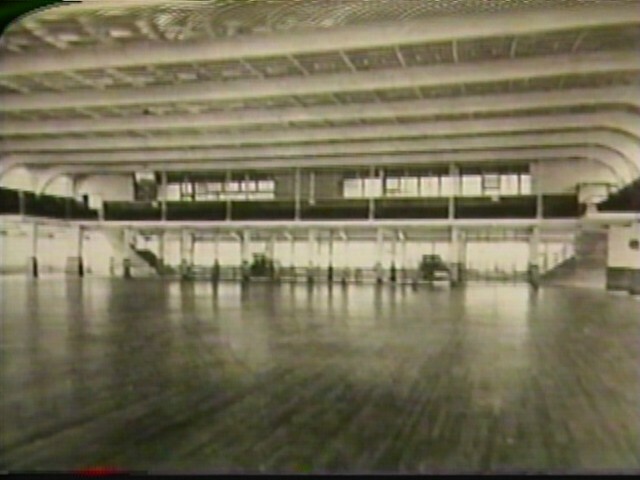 That Sears building still stands as Canisius College’s Science Hall. 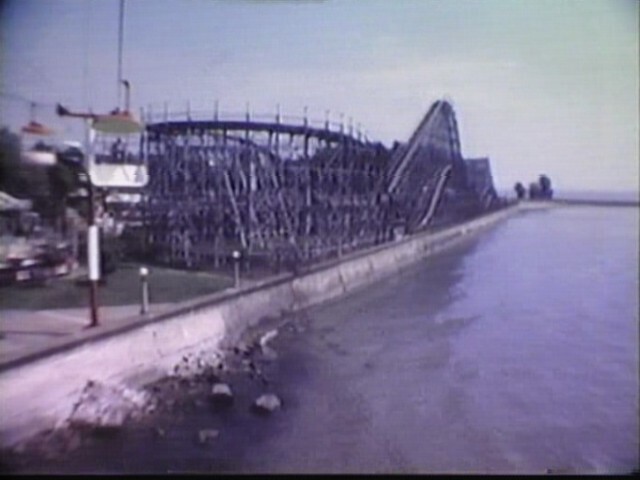 Whether it was the dime dances, the clear blue water, the suckers and waffles, or one of the half-dozen roller coasters over the years that drew you there…. 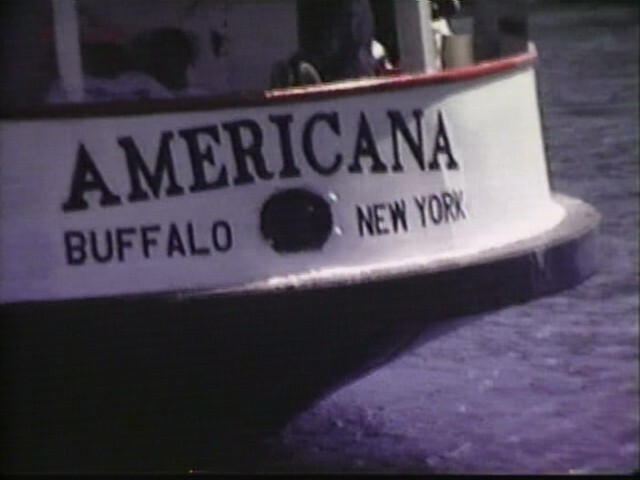 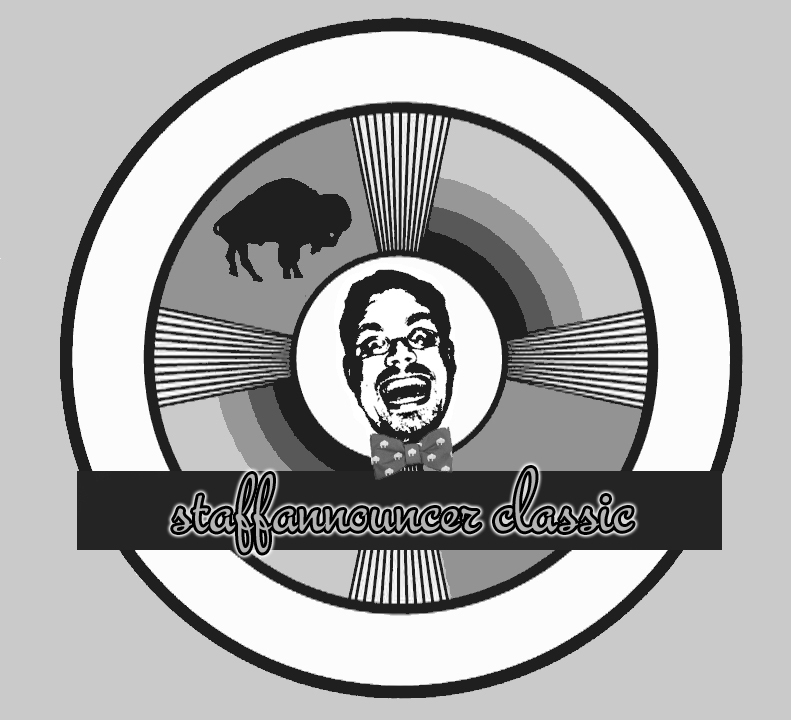 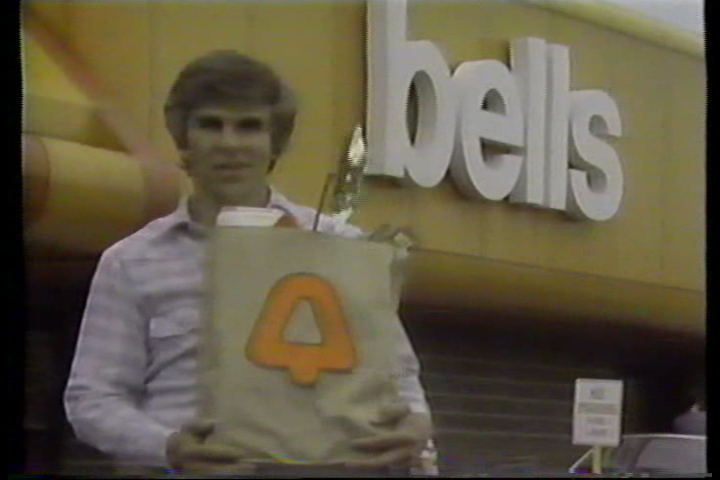 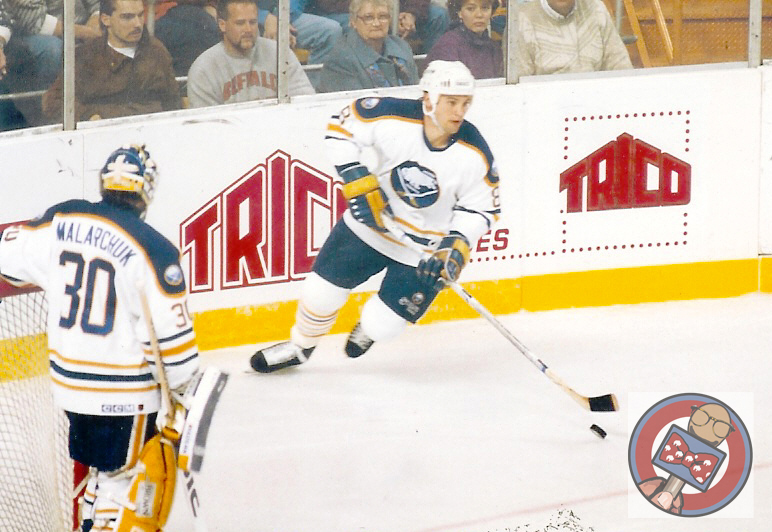 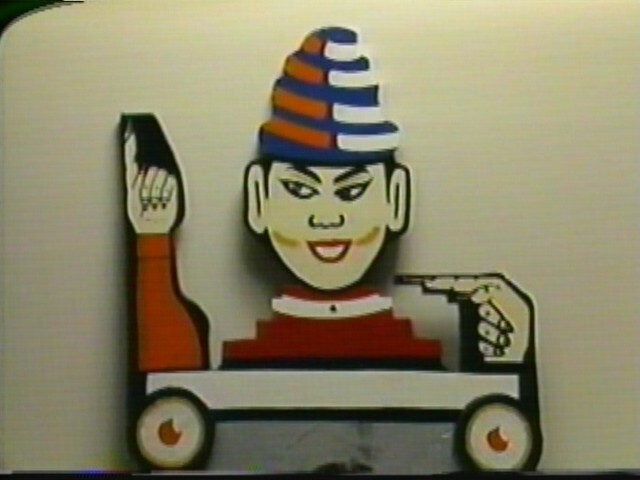 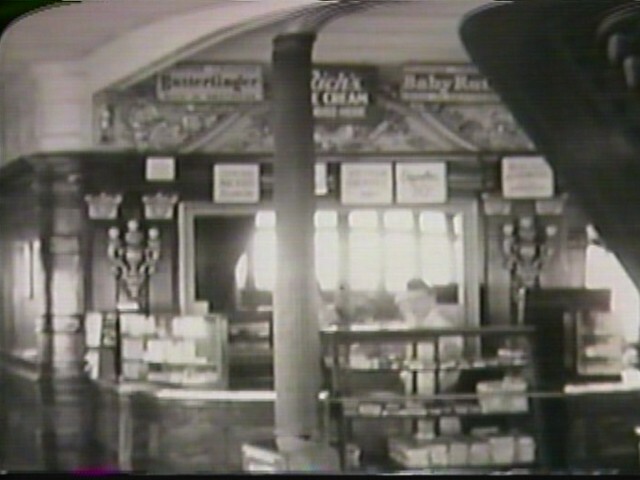 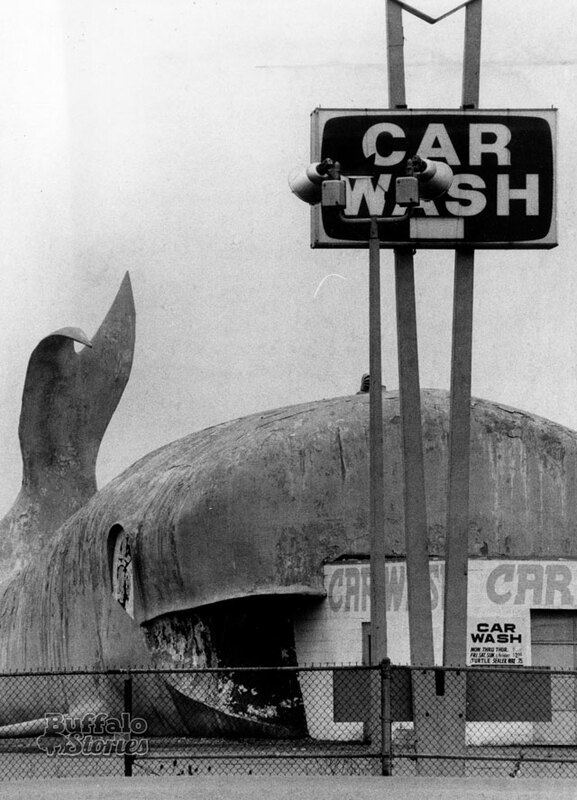 If you grew up in Buffalo between 1883 and 1989…. there’s little doubt that you spent some time at “Buffalo’s Coney Island,” Crystal Beach, Ontario. 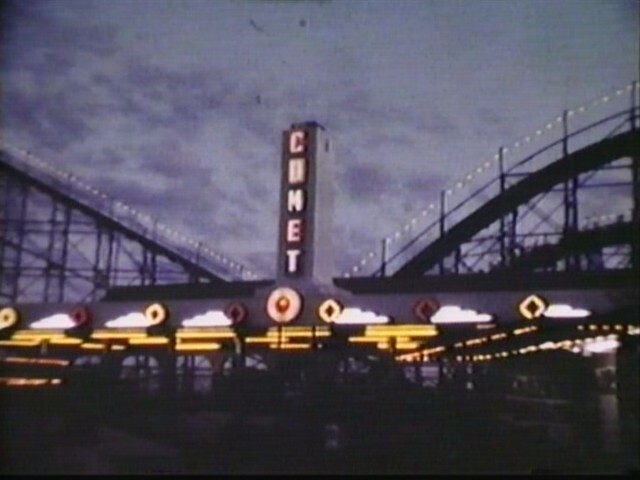 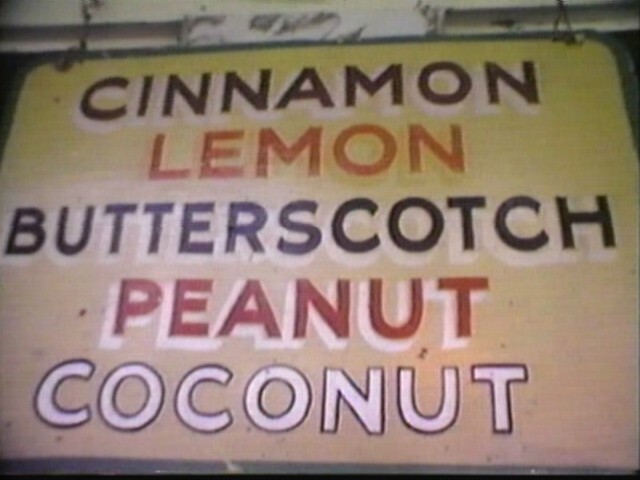 Great hand painted sign on the Comet! 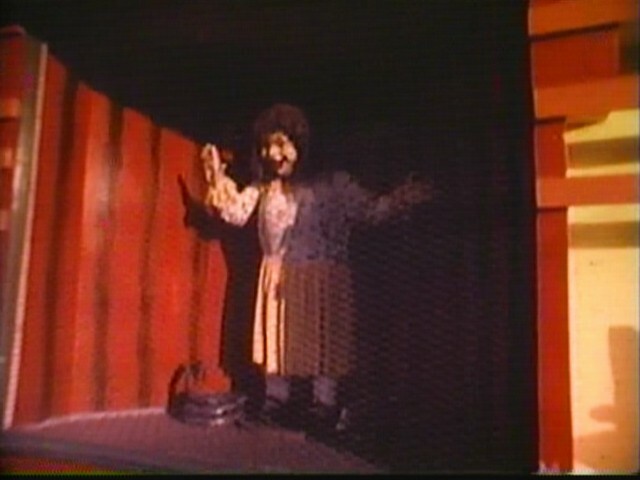 Laughing Sal at Laff In The Dark! 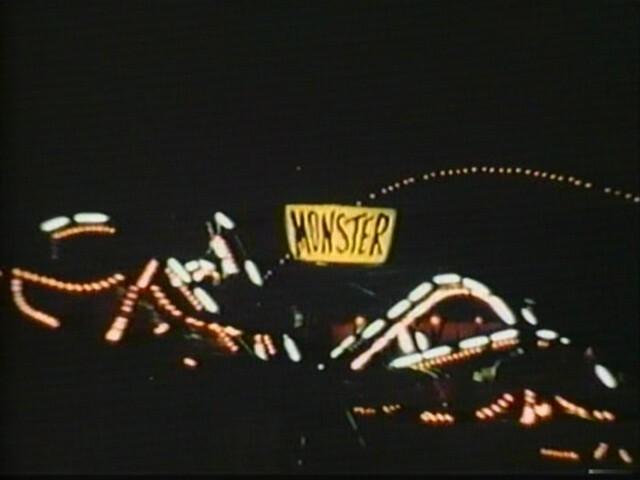 Charming Charlie at Laff In The Dark! 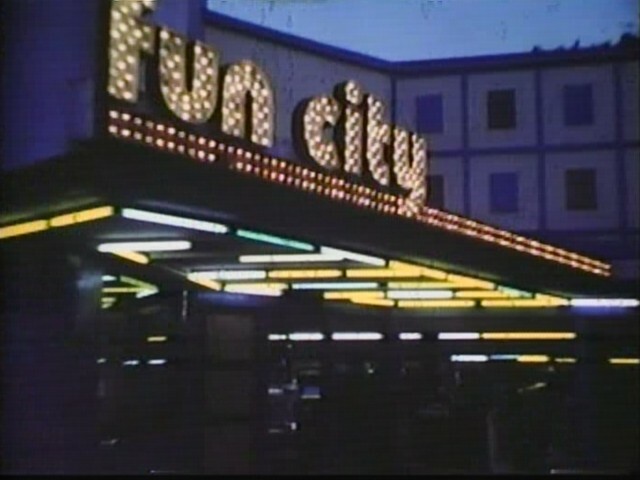 The arcade at Fun City! 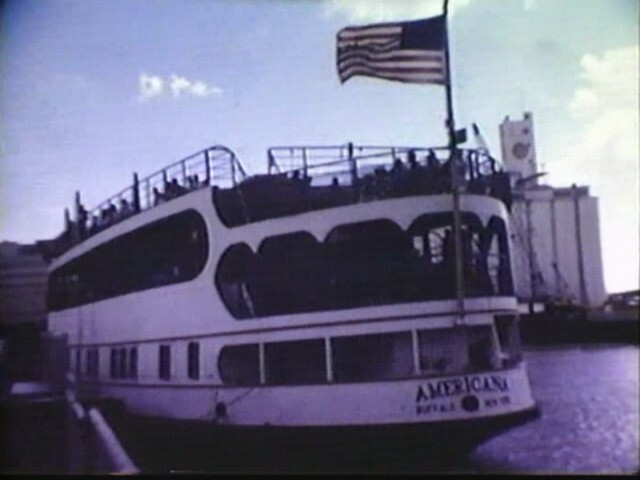 Free dancing on the boat!